Holiday stockings are so underrated, and we aren't sure why. I mean, who wouldn't want a sock full of tiny presents, right? 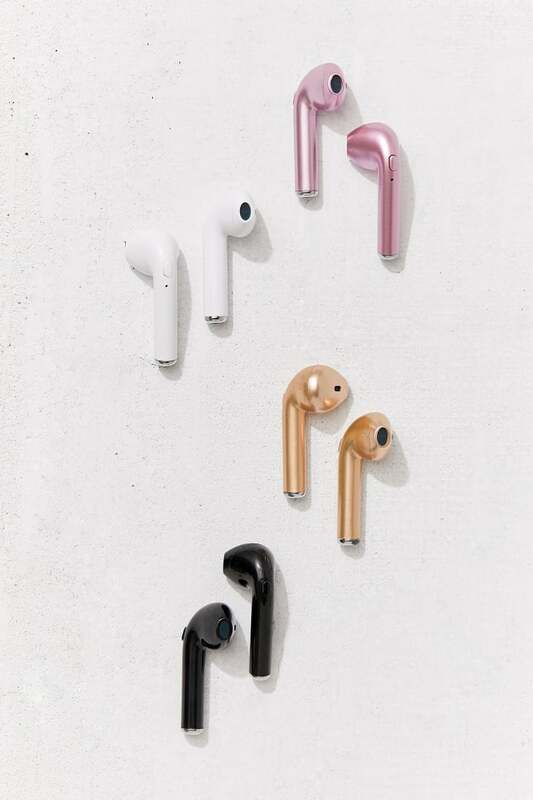 While it can be hard to find just the right amount of gifts to fit in a stocking, we've got you covered with some of the coolest stocking stuffers of the season. Fill your stockings with these tiny trinkets and embrace every *little* aspect of the holiday season. 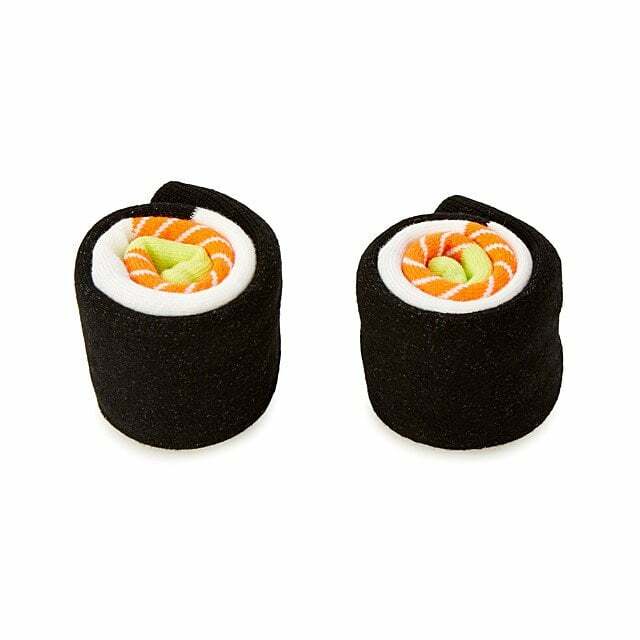 These Salmon Maki Socks ($12) look good enough to eat! Avocado toast deserves a spot on the tree! 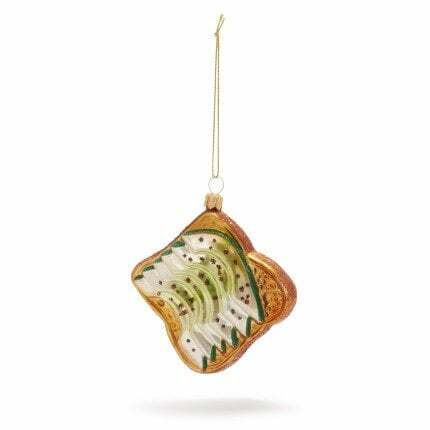 With this Avocado Toast Christmas Ornament ($20), that is now possible. 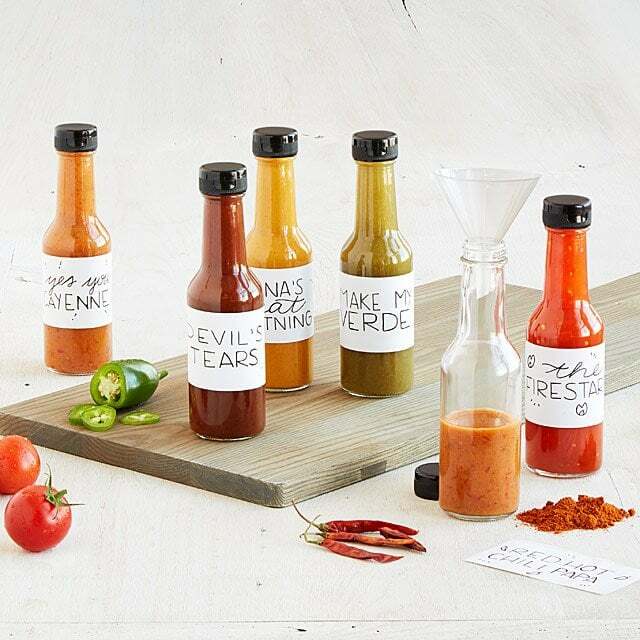 This little Make Your Own Hot Sauce Kit ($35) comes with six different containers for all of your new, homemade sauces! 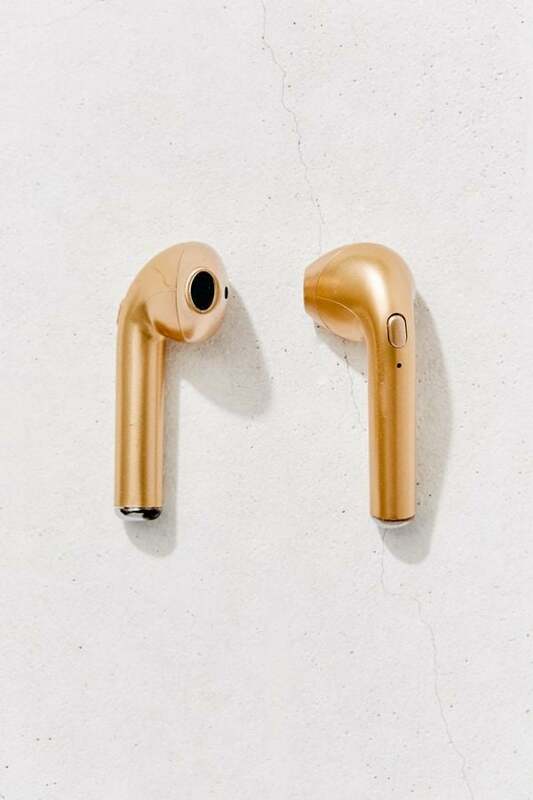 These portable Wireless Ear Pod Headphones ($40) are small enough to fit in any pocket, purse, or bag. 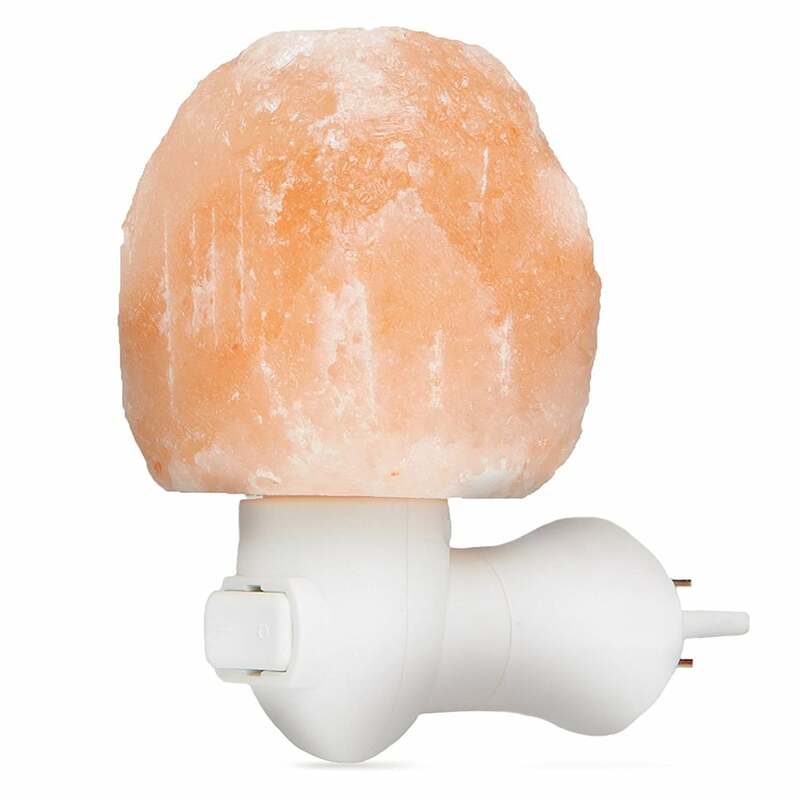 This little Himalayan Salt Lamp Nightlight ($12) gives off negative ions that freshen air, all while looking good in any room. 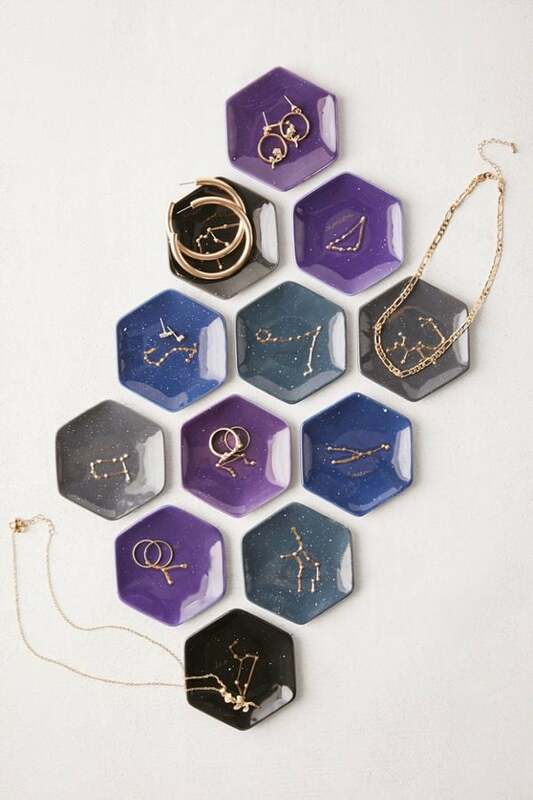 They can store their treasures in the stars with these Zodiac Catch-All Dishes ($8). 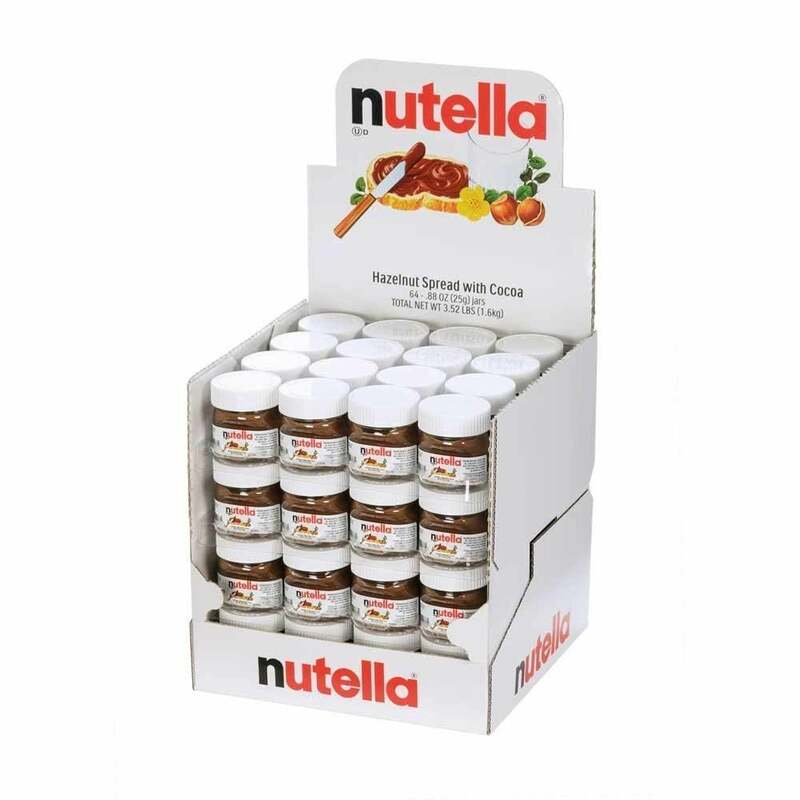 This pack of 16 Nutella Mini Glass Bottles ($18) is perfect for the on-the-go Nutella-lover. 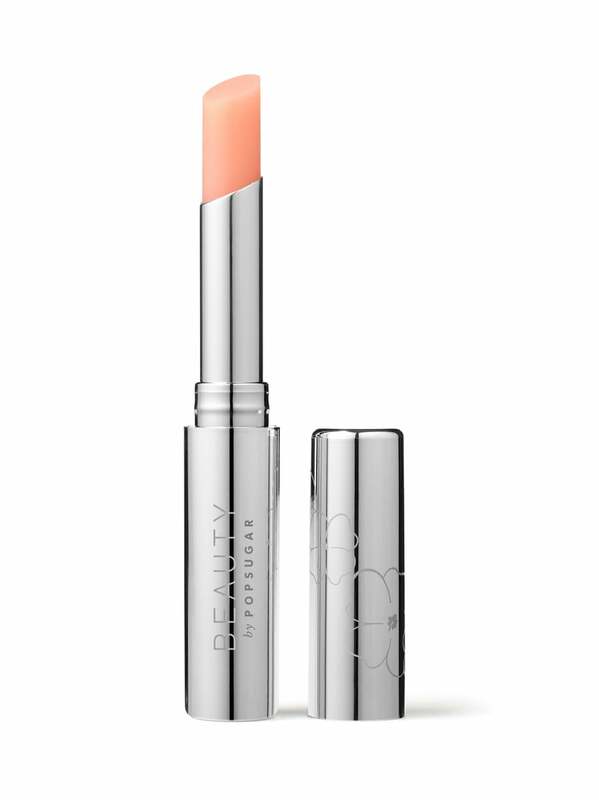 This yummy Beauty by POPSUGAR Lip Bloom ($20) is as unique as you are — it changes color depending on your pH! 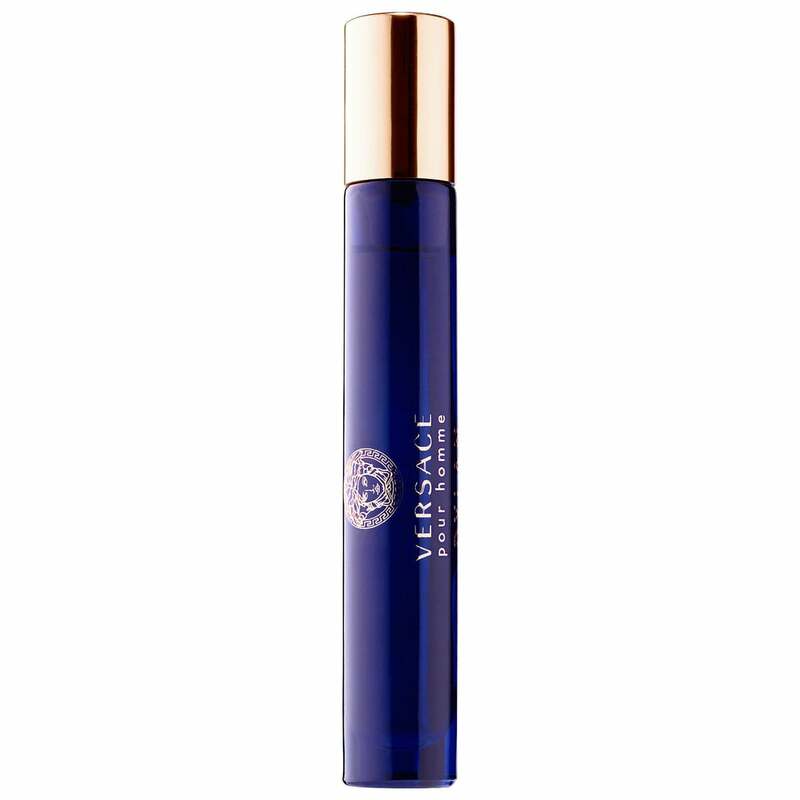 Packed with vitamin E and sunflower and jojoba seed oils, this balm also gives you soft lips in addition to a personalized hue. 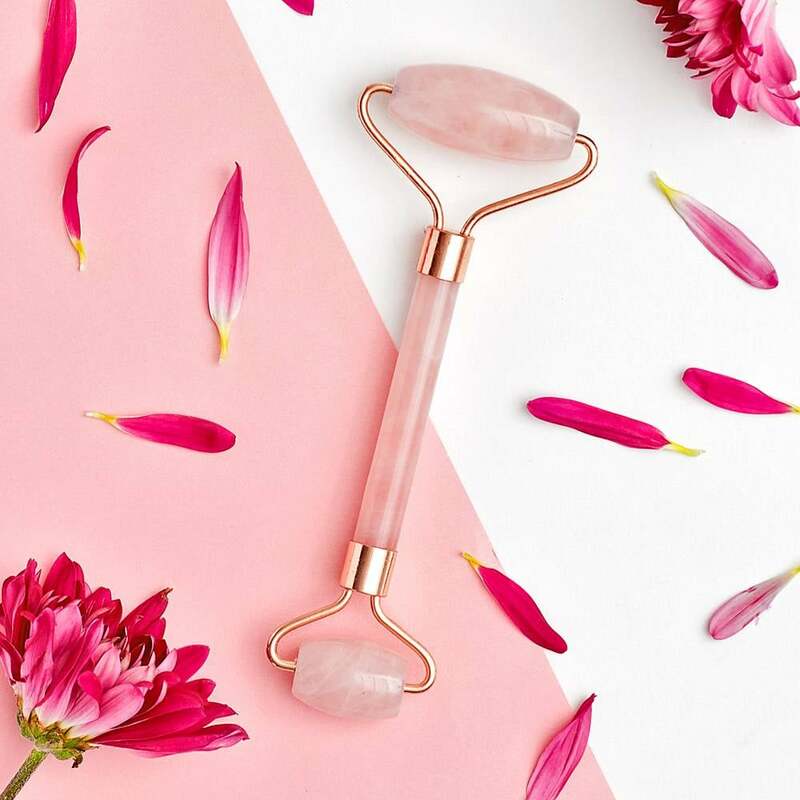 A small Rose Quartz Facial Roller ($28) is perfect for anyone who wants to easily soothe and relax their skin. 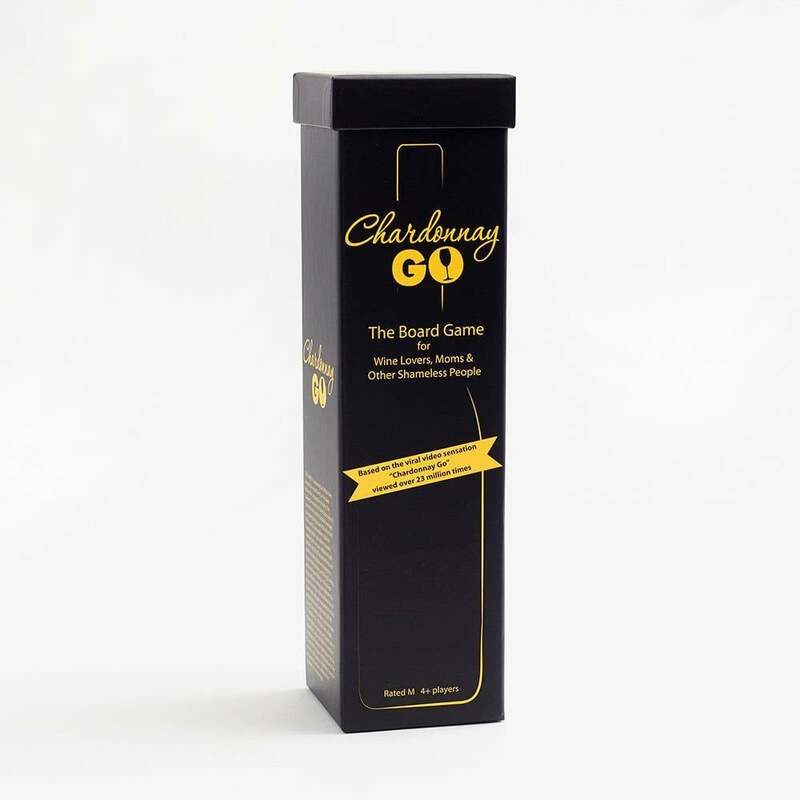 This Chardonnay Go Game ($35) is a fun game for any wine-lover. 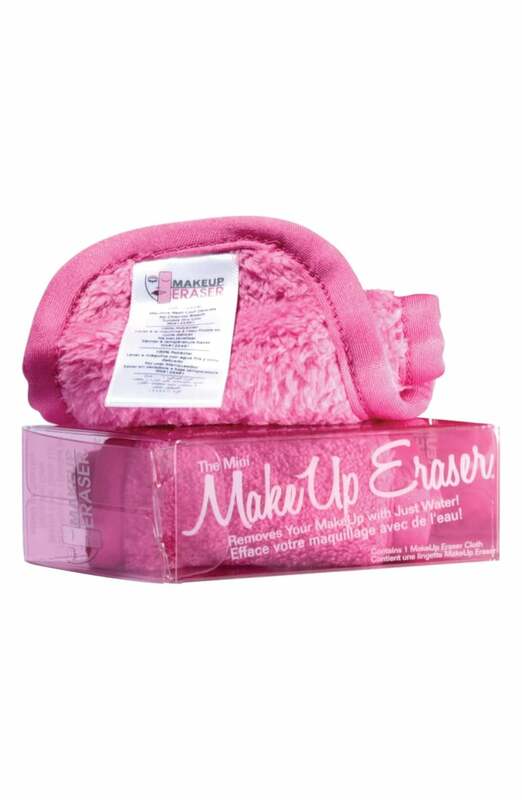 These Makeup Removing Towels ($17) wipe off makeup effortlessly and are machine washable. 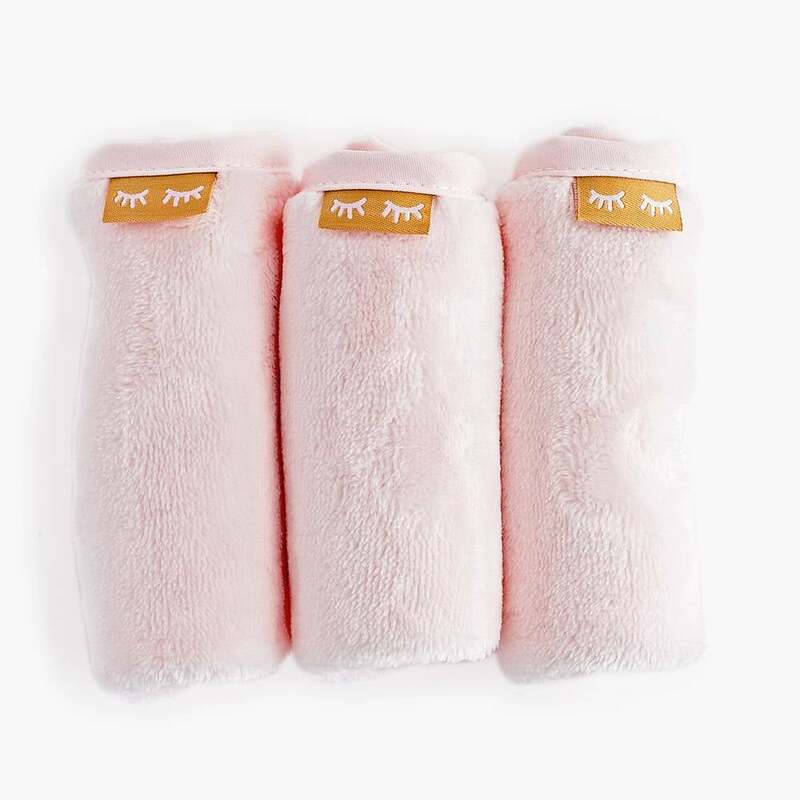 Wake up to effortlessly frizz-free hair with this Kitsch Multi-Way Sleep Scarf ($9). 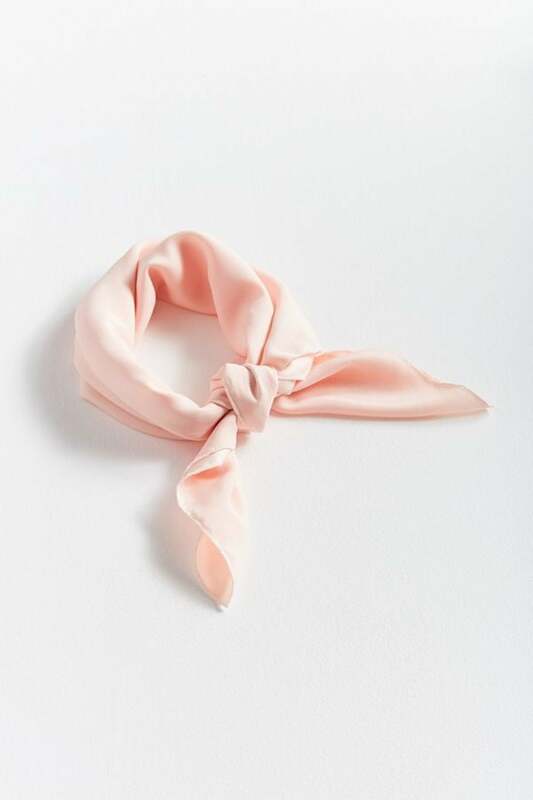 Put it on at night and sleep peacefully knowing that the silky wrap will protect your hair from harmful fibers. Bonus: it doubles as a cute accessory during the day, too! 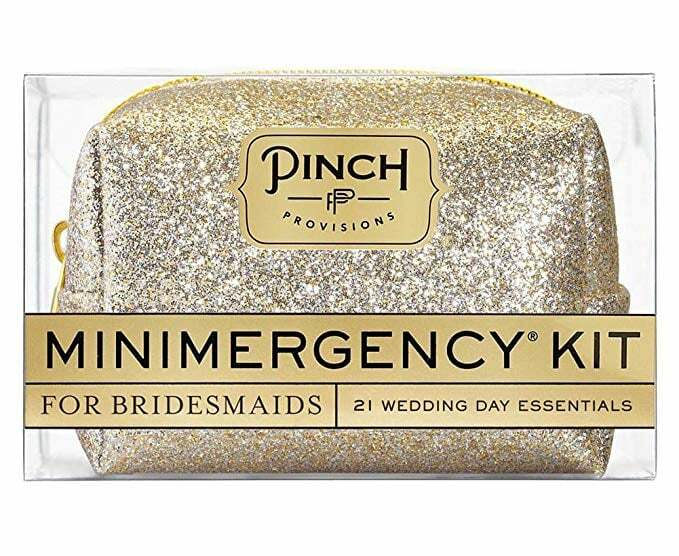 This Pinch Provisions Women's Stud Muffin Minimergency Kit ($23) is packed with 21 different wedding-saving essentials. This What I Love About You Journal ($12) is a small way of showing your love. 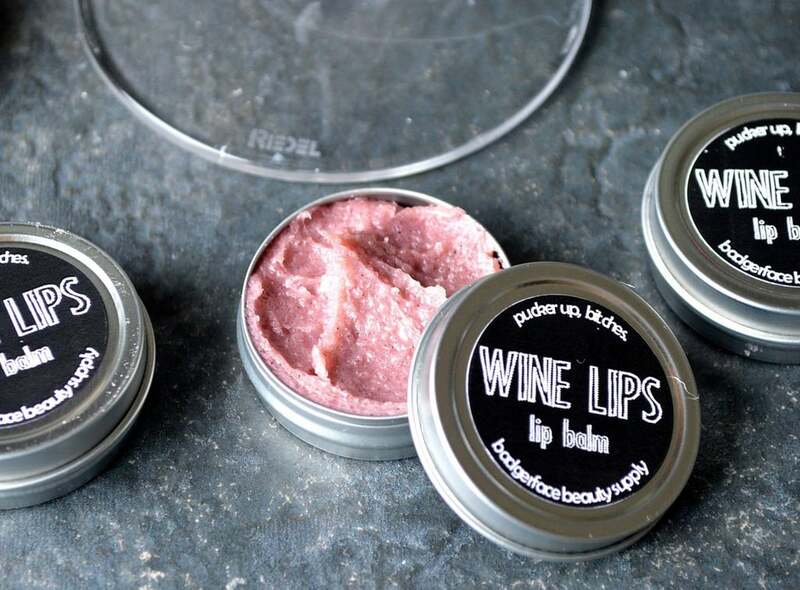 This natural Wine Lips Lip Scrub ($4) brushes away dry skin and leaves behind a fun flavor. 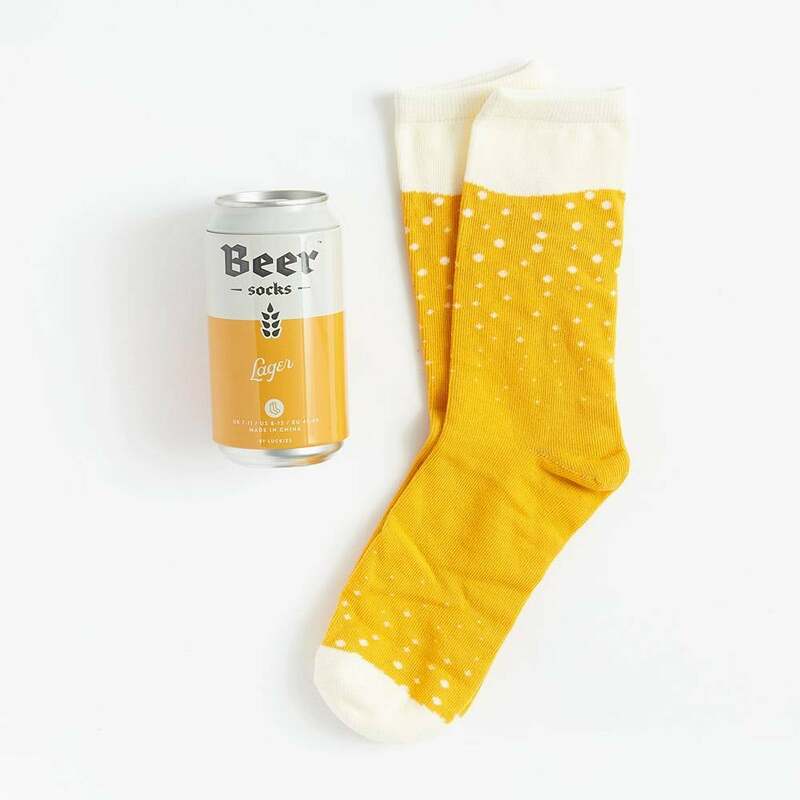 These Beer Socks ($14) come in a cute beer can. 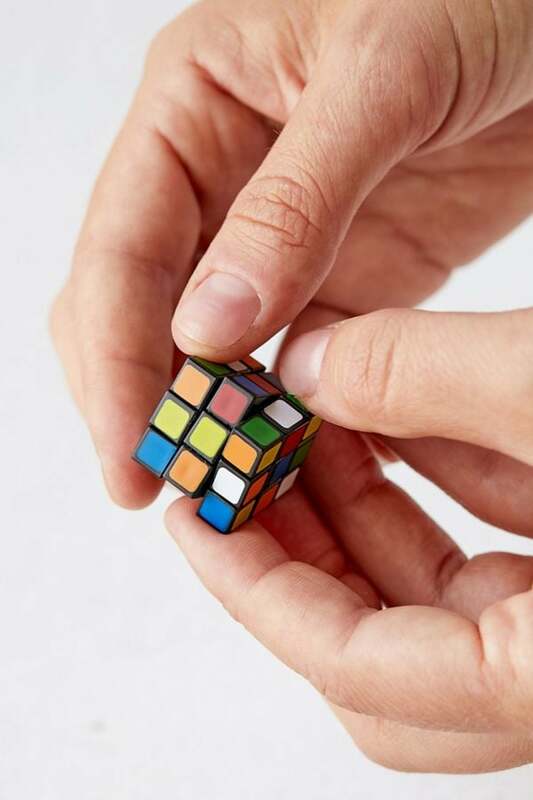 For the person who likes to be challenged, the World's Smallest Rubik's Cube ($8) will entertain them for hours. 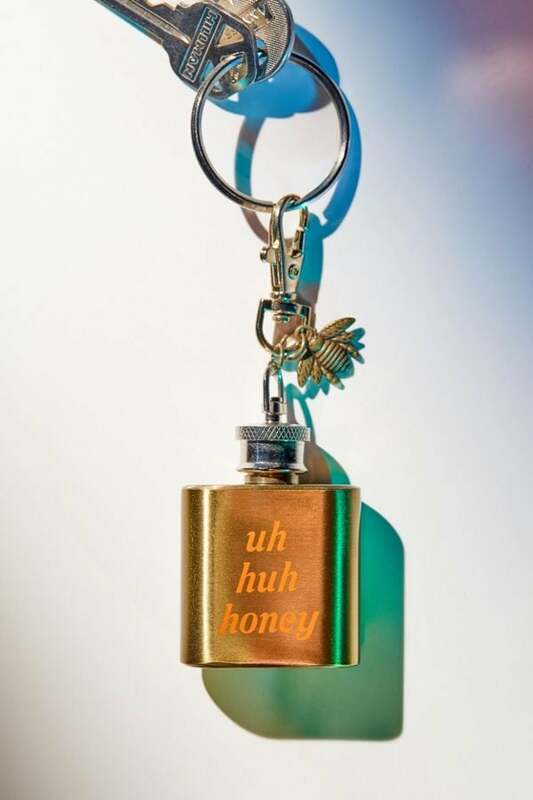 This Mini Flask ($8) is a cute addition to any set of house keys. This Chloé Deluxe Mini Duo Set ($20) includes both the classic Chloé signature scent and the Chloé Nomade Eau de Parfum scent. 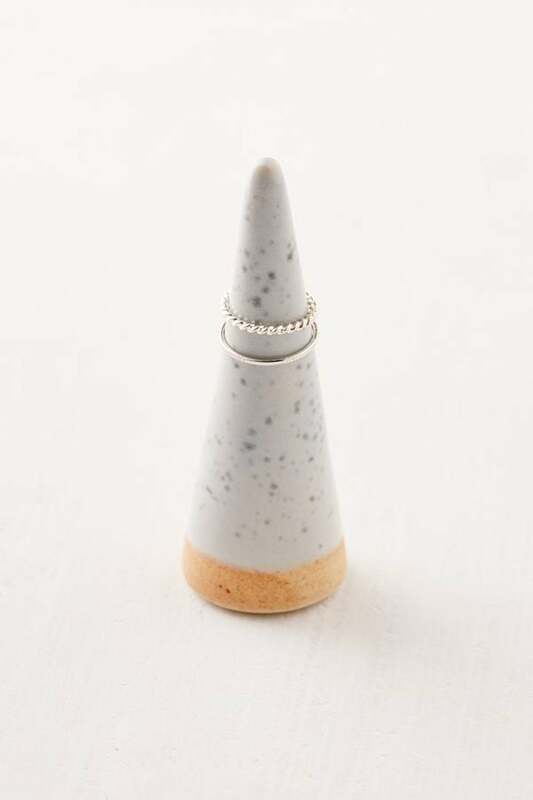 This one-of-a-kind Olinda Speckled Ceramic Ring Holder ($6) is handmade and comes in three different styles. Display your rings in a unique way. 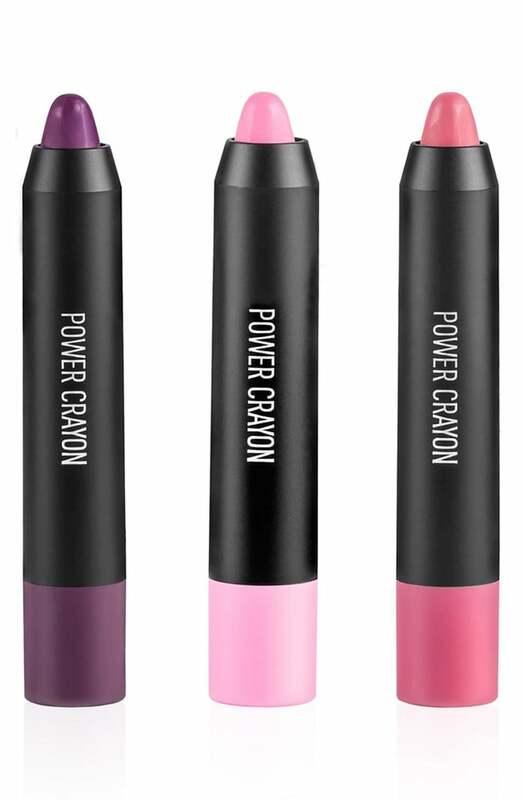 This travel-size Makeup Eraser ($40 for a four-pack) removes face makeup instantly. Just add water! 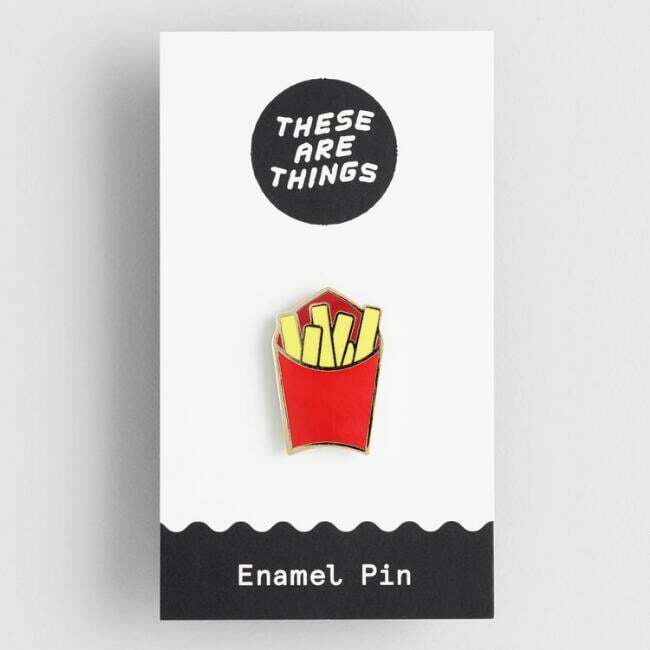 Give this little French Fry Enamel Pin ($8) to the french fry fan you know. 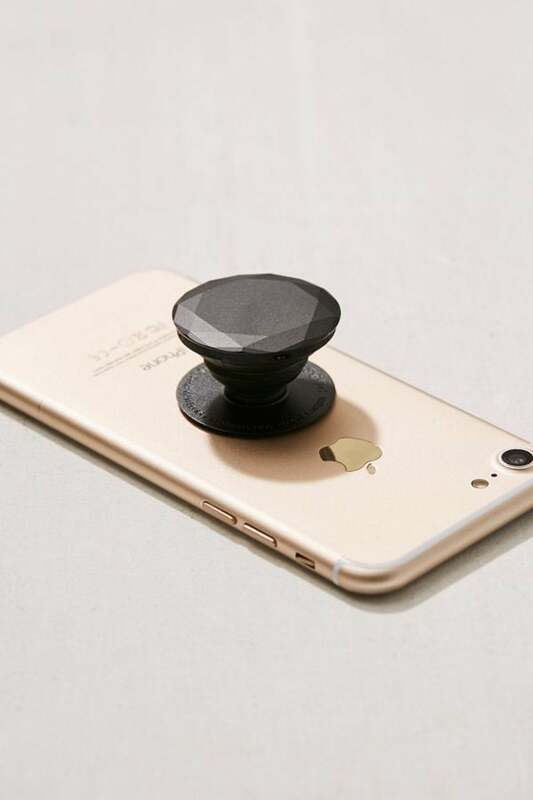 This Metallic Diamond Popsocket ($15) looks cool on any phone. Spice up the kitchen with Betty's Silicone Spoon Rest ($12). 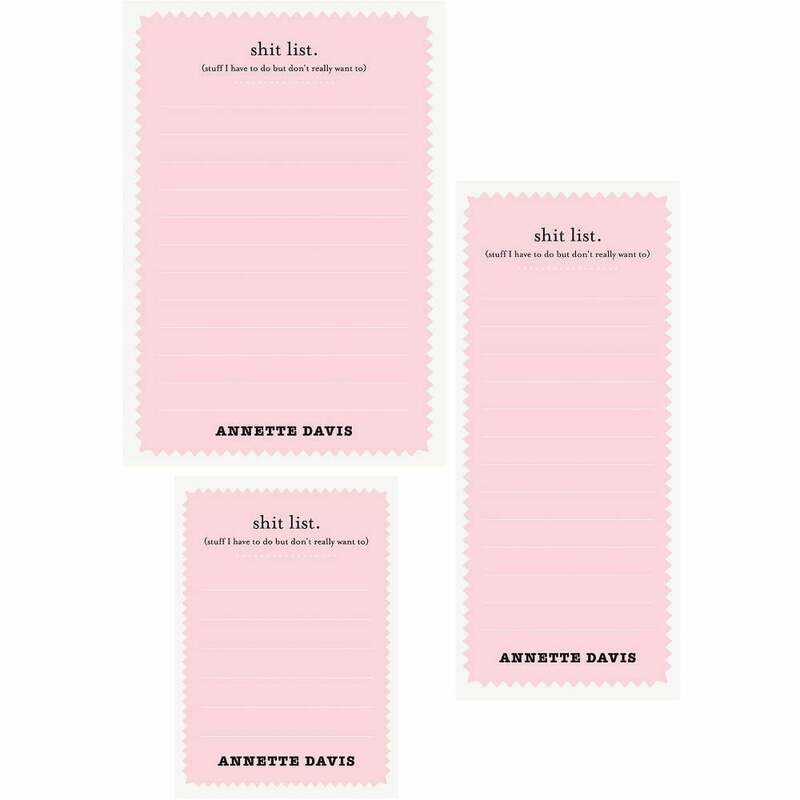 Complete with five different notepads in three different sizes, this Sh*t List Mixed Personalized Note Pad Set ($35) is small enough to take anywhere to jot down your thoughts. 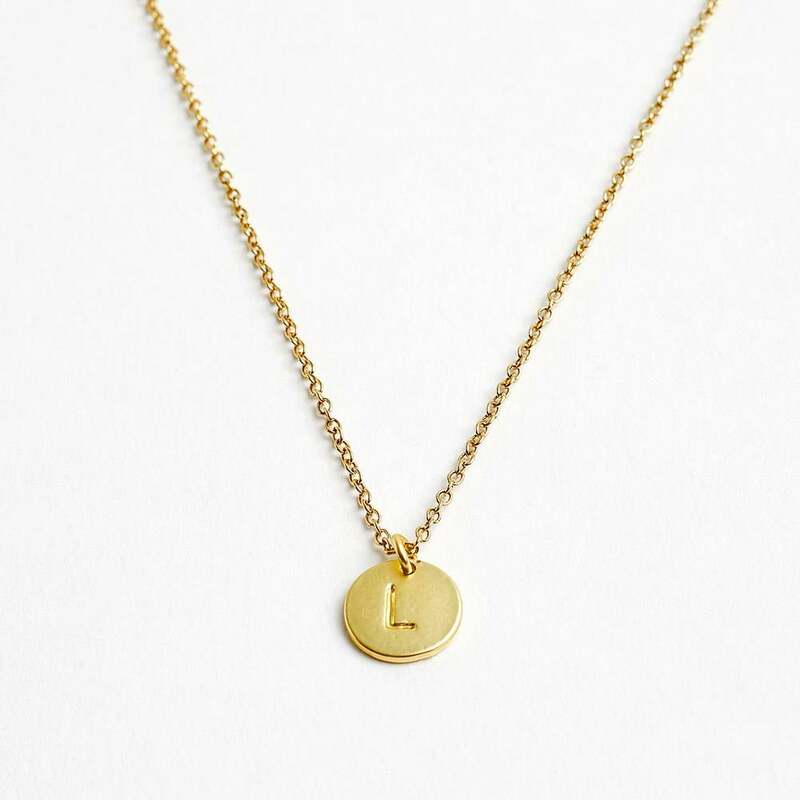 These dainty Monogrammed Necklaces ($15) look cute with any outfit. 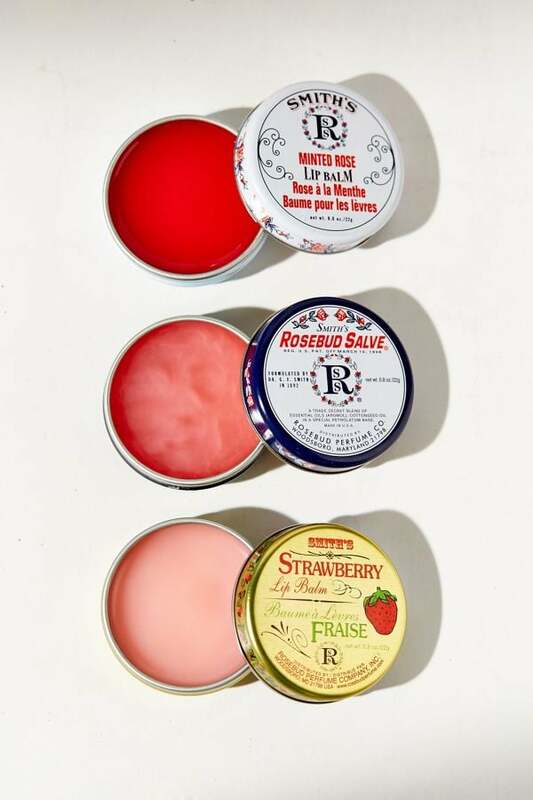 This Smith's Rose Bud Tin Set ($16) comes with three fan-favorite balms: the rosebud salve, strawberry lip balm, and mint rose lip balm. 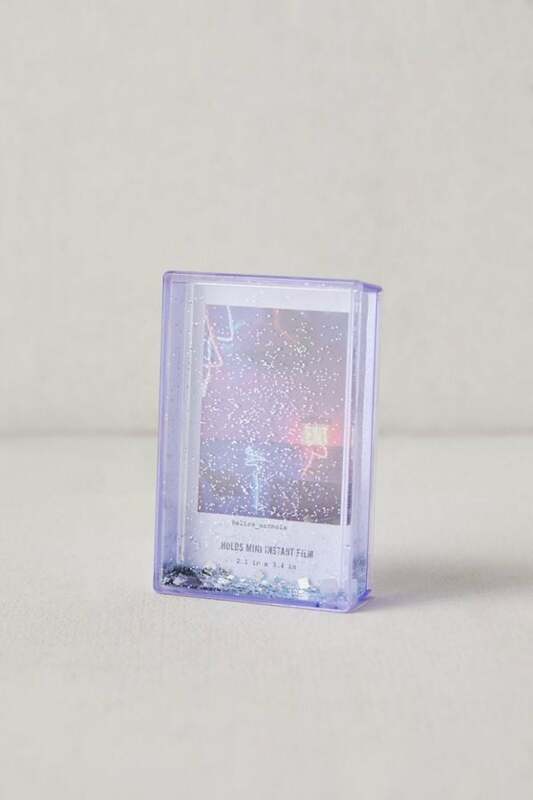 These Instax Mini Glitter Picture Frames ($6, or two for $10) are perfect for the little pic that you wanted to display. 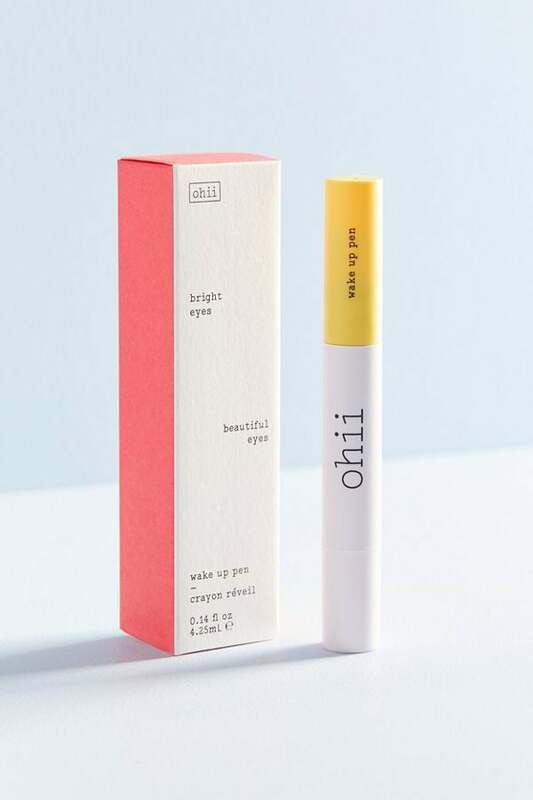 This Ohii Wake Up Pen ($18) brightens and illuminates skin with one swipe. It can be used under eyes or on your cheeks and nose as highlighter. 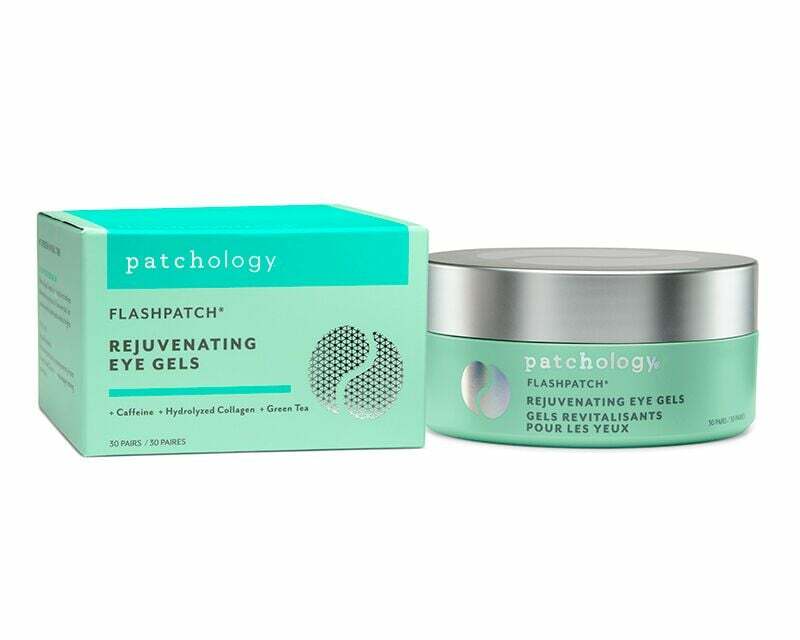 Bring back the twinkle in your eyes with these Patchology Eye Revive Flashpatch 5 Minute Hydrogels ($3, or two for $5). 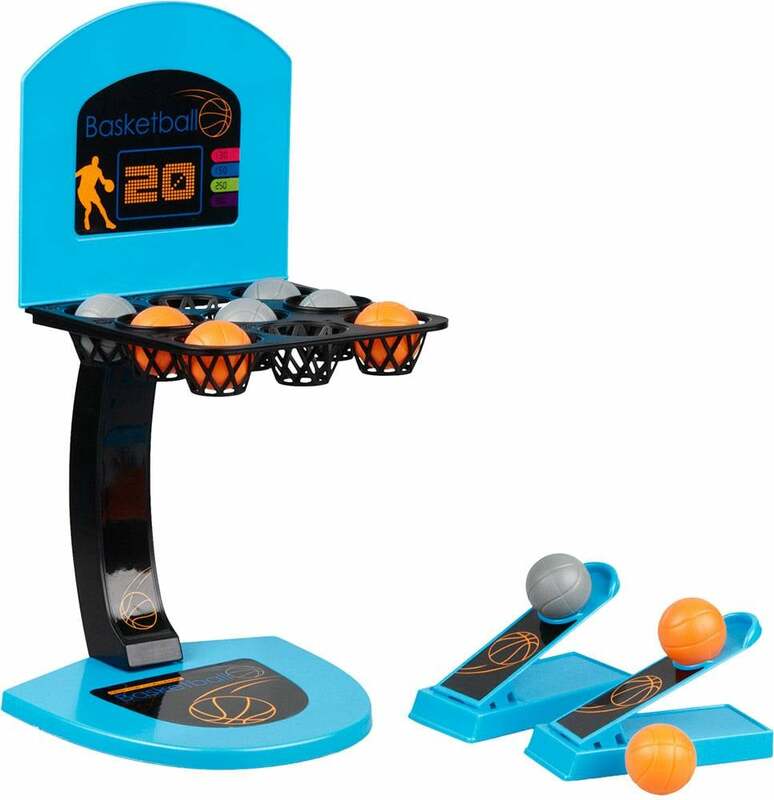 Only 13 inches tall, this Desktop Basketball ($12) game is small enough to play anywhere. 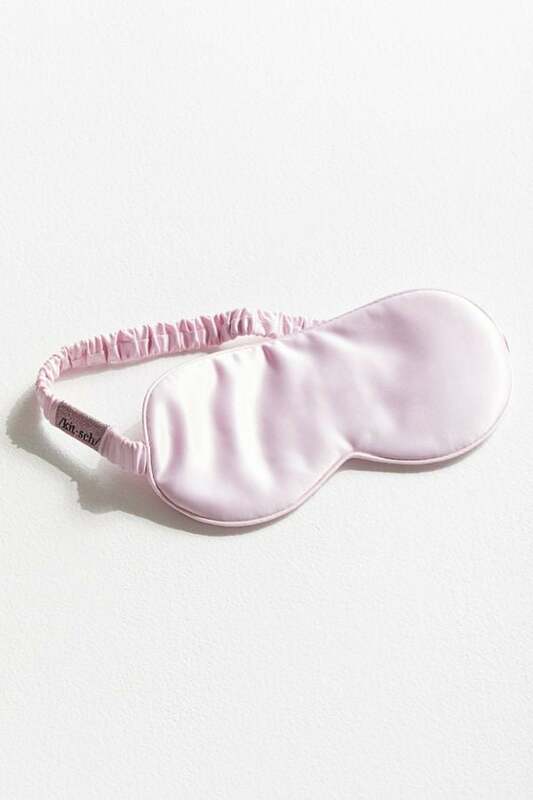 This Kitsch Rituals Satin Eye Mask ($18) makes any sleep beauty sleep. 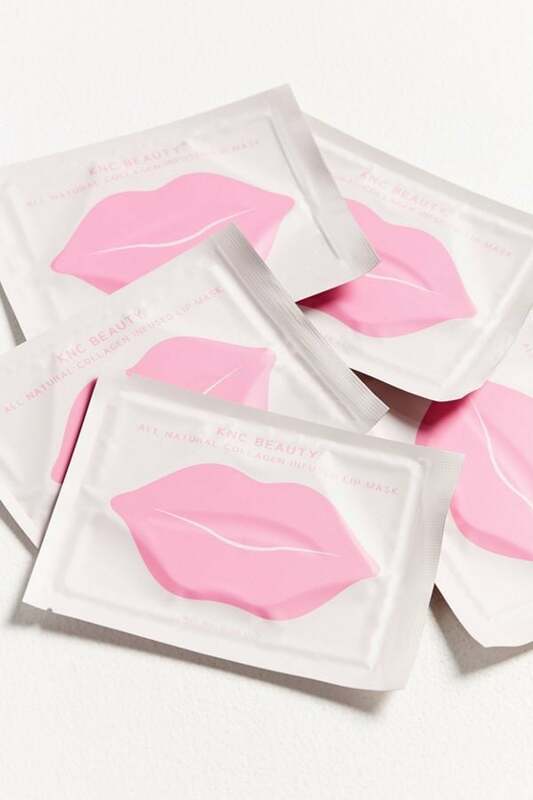 This KNC Beauty Lip Mask Set ($25) includes five masks each infused with collagen, vitamin E, rose oil, and cherry extract to plump and smooth lips. 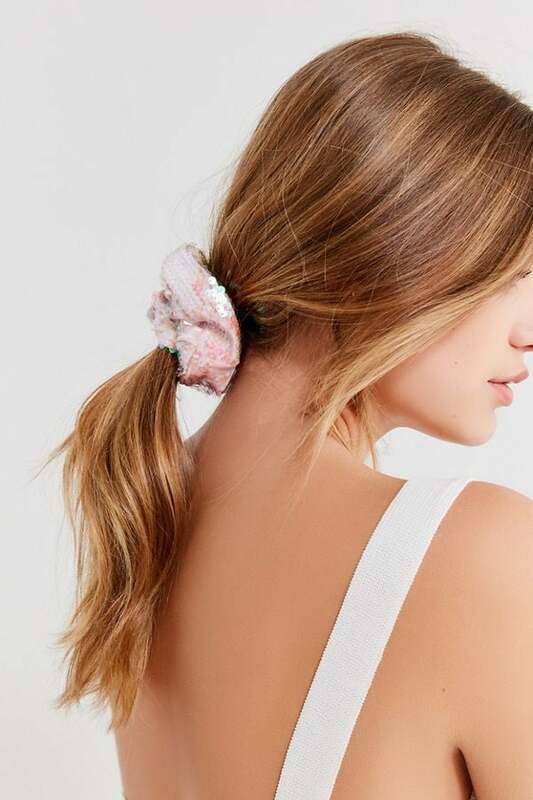 This Velvet Sequin Scrunchie ($6) is comfortable and cute. 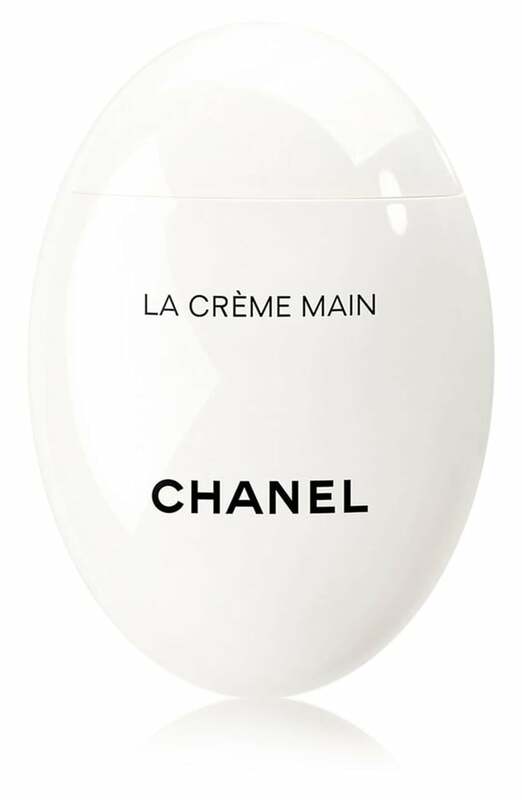 This Chanel La Creme Main Hand Cream ($50) keeps hands hydrated all year long. 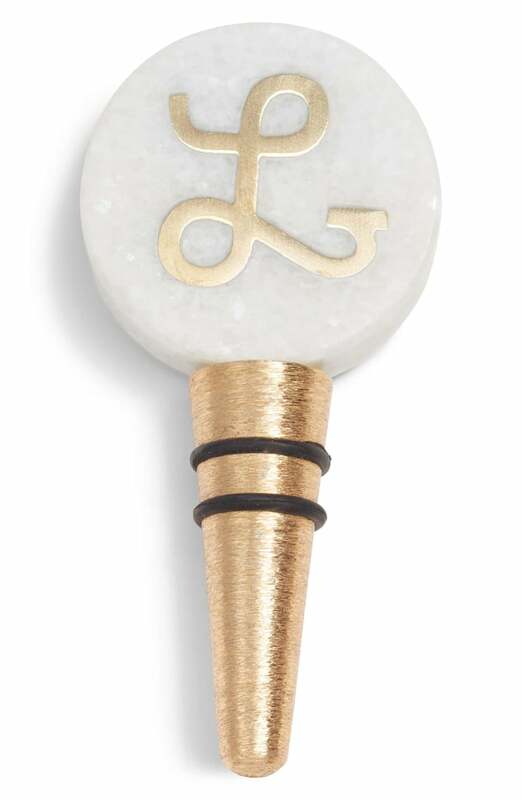 This dainty Monogram Marble Bottle Stopper ($19) is personalized, trendy, and less than 20 bucks! With six chic colors to choose from, this Deborah Lippmann Nail Color ($18) makes your nails look fresh without going to the nail salon. 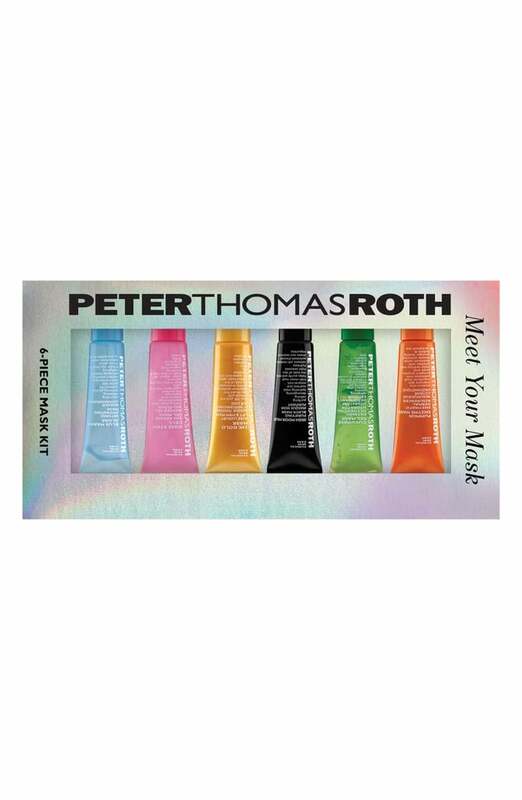 Stocked with six different kinds of masks, this Peter Thomas Roth Meet Your Mask Collection ($25) is small enough to bring anywhere. 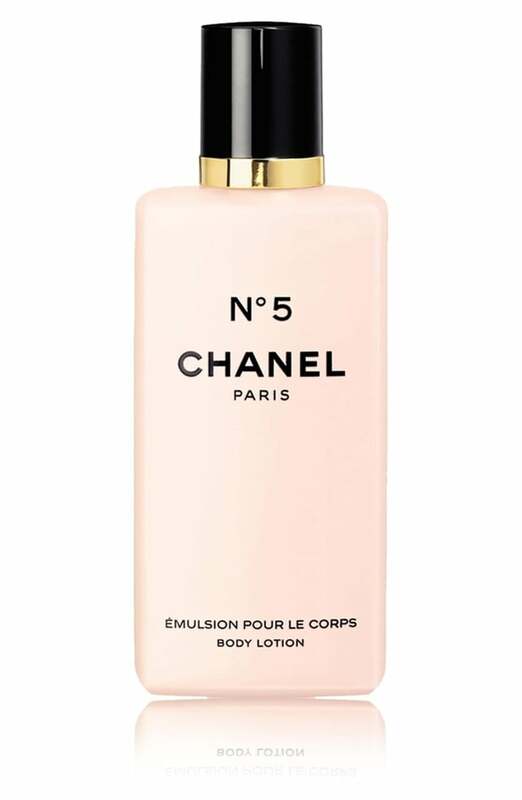 A cult favorite, this Chanel N°5 The Body Lotion ($55) moisturizes skin and leaves behind the irresistible Chanel scent. This travel-size Soap & Glory Hand Food Hand and Body Lotion ($4) is nongreasy, moisturizing, and easy to take anywhere. 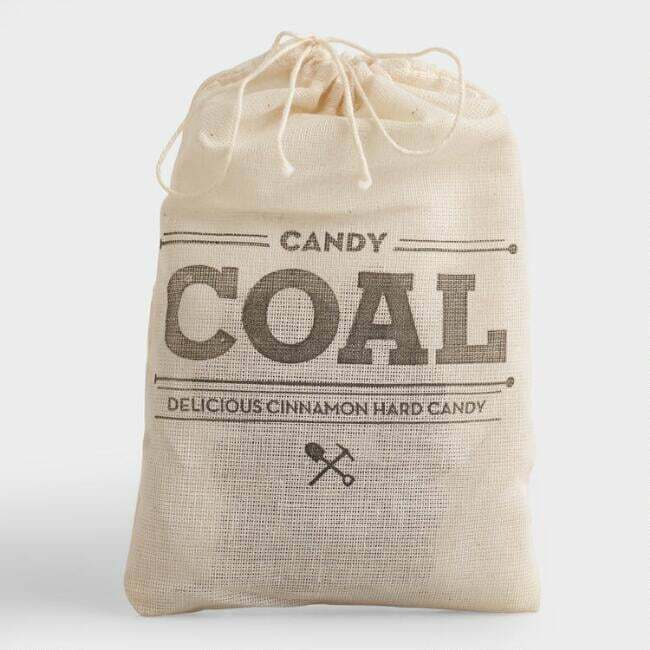 Put this Hammonds Cinnamon Coal Candy ($9) in someone's stocking, because they probably deserves a little bit of coal . . . These relaxing Orange Amber Bath Salts ($13) are big enough to fill a (big) bath. This set of Birthday Cake Mini Ice Cream Bath Soaks ($10) comes with six handmade bath bombs and smell like dessert! 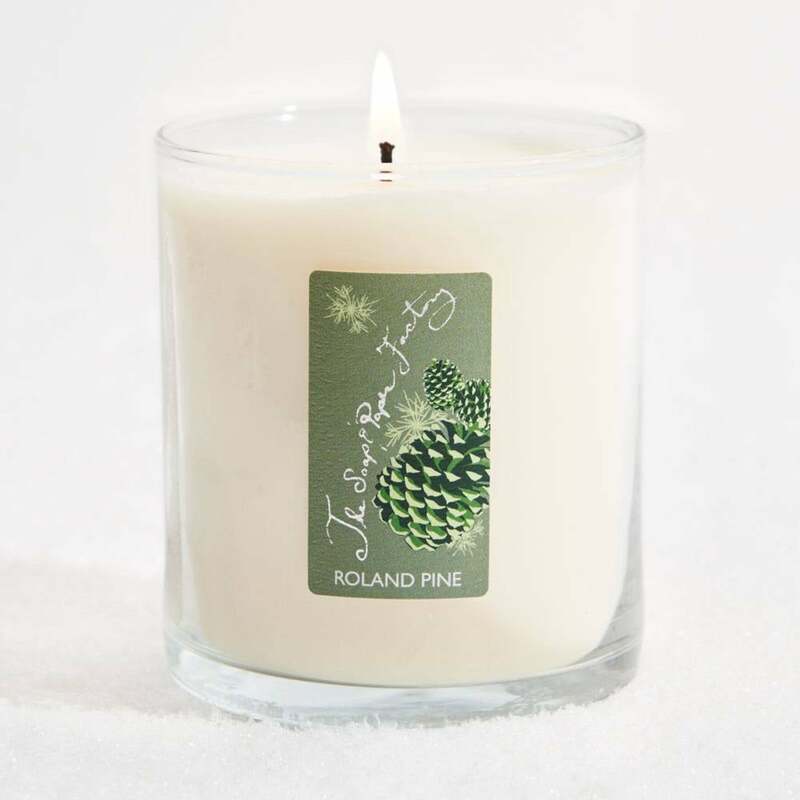 This Large Roland Pine Candle ($33) smells like a cozy Winter night and burns for approximately 75 hours. 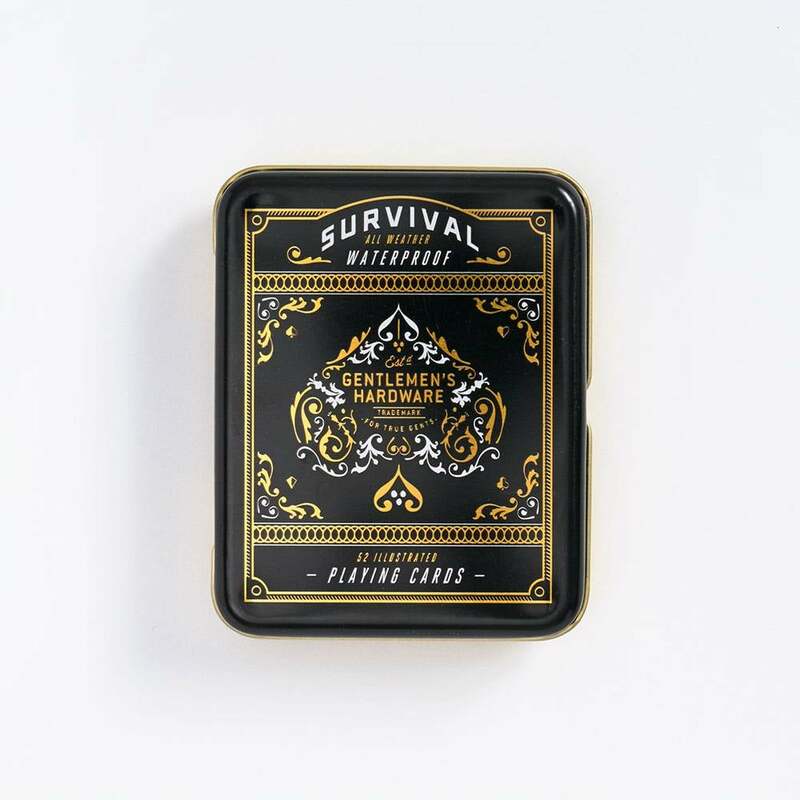 Waterproof and packed with need-to-know survival tips, these Playing Cards ($17) are a three-in-one. 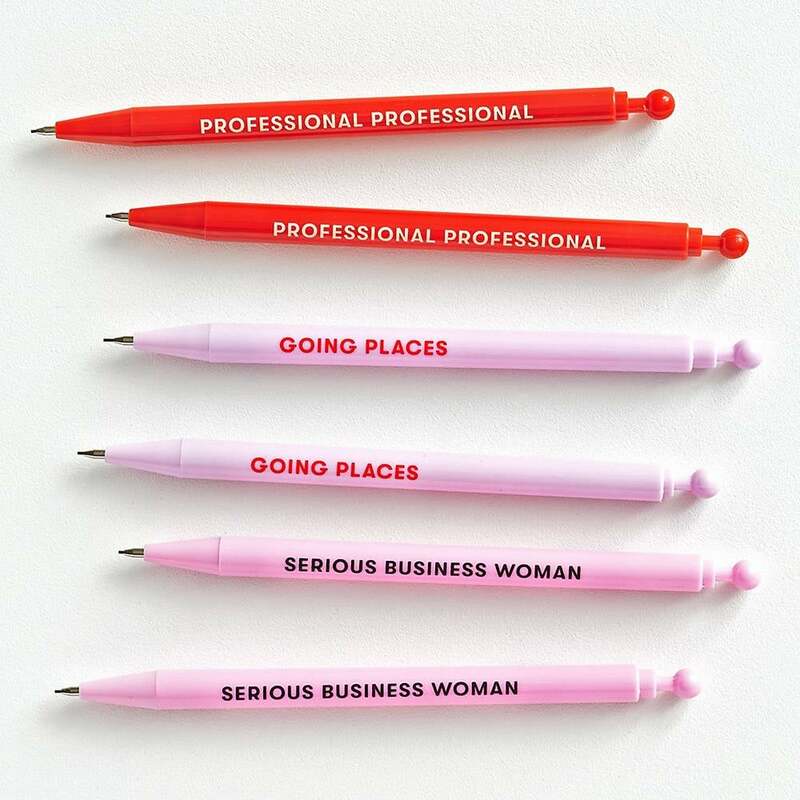 These Empowerment Mechanical Pencils ($13) are small in size but big in empowering words! 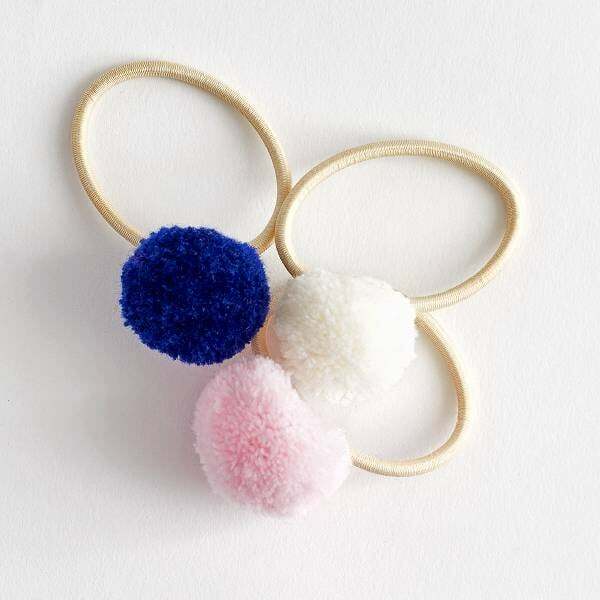 These Pom Pom Hair Ties ($7) are fun to wear in your hair or on your wrist. 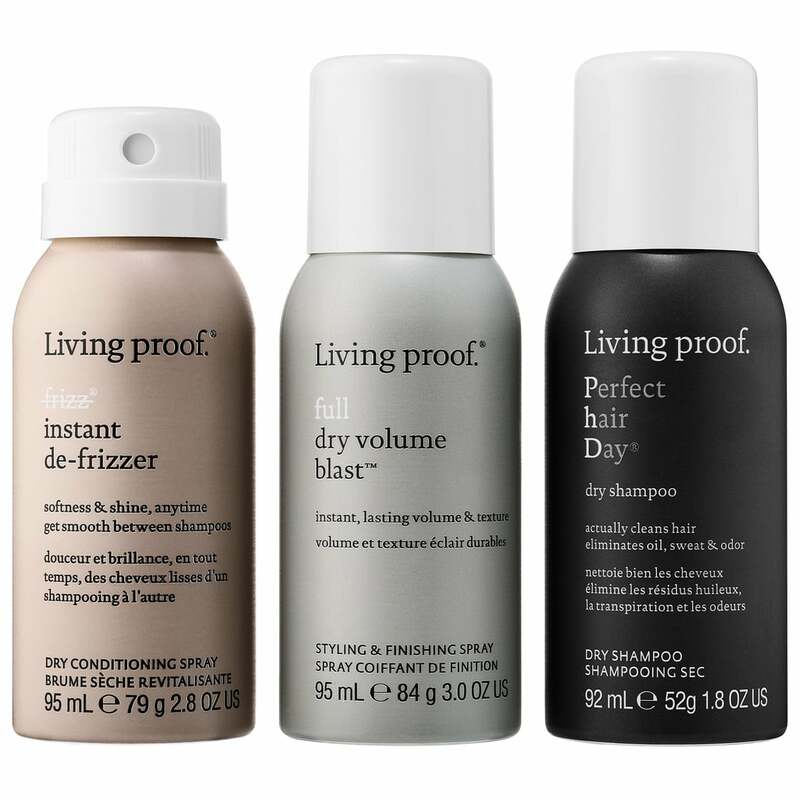 Take this Transformation Trio ($25) on the go to control frizz, add volume, and clean hair instantly. 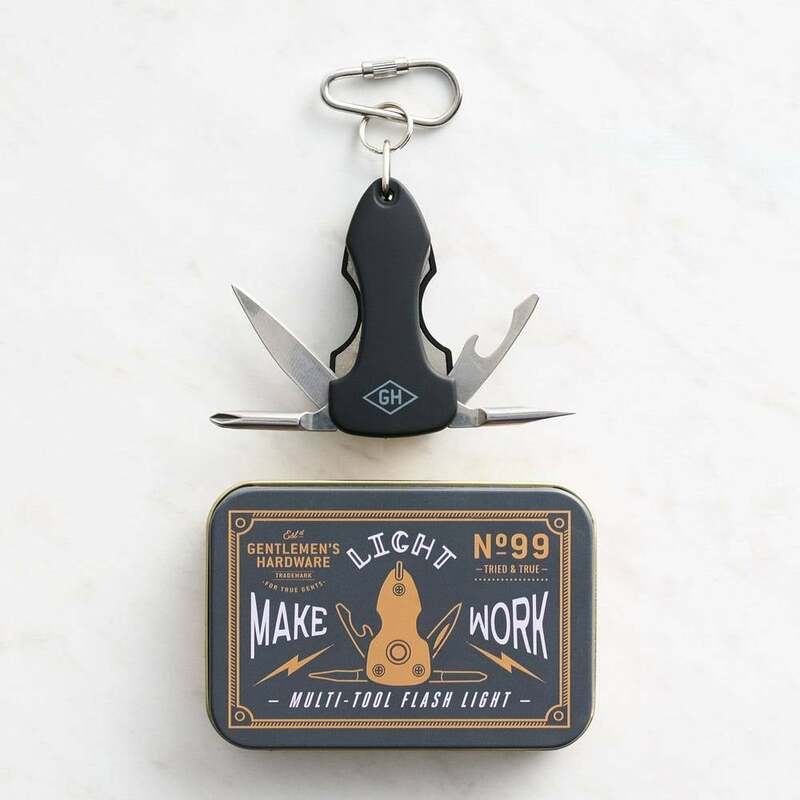 Good for someone outdoorsy, this Multi-Tool Flash Light ($18) has more than a couple cool uses. 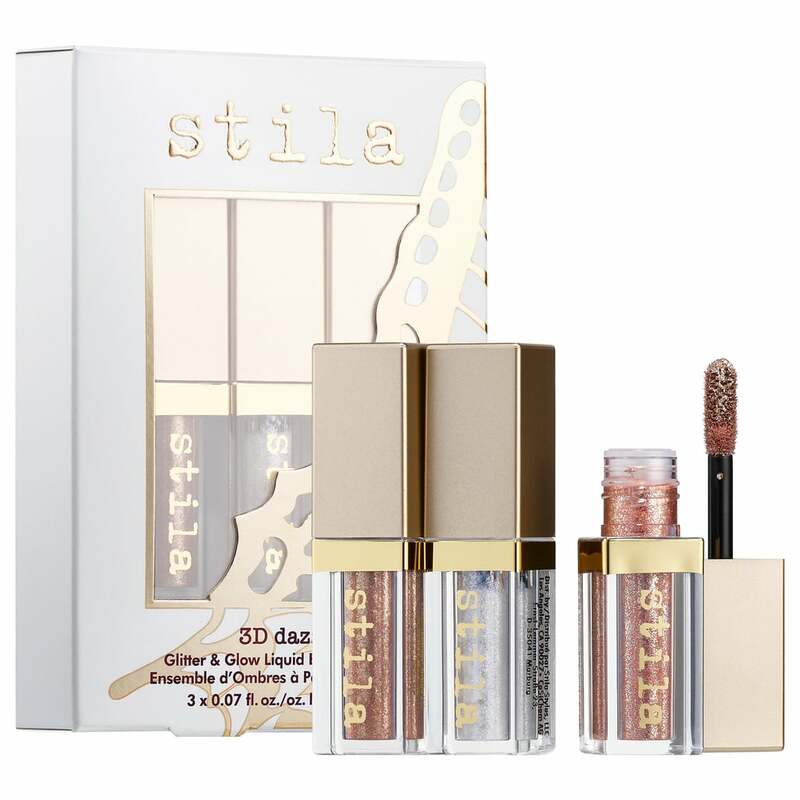 Get glowing with this 3D Dazzle Mini Glitter & Glow Liquid Shadow Set ($25). 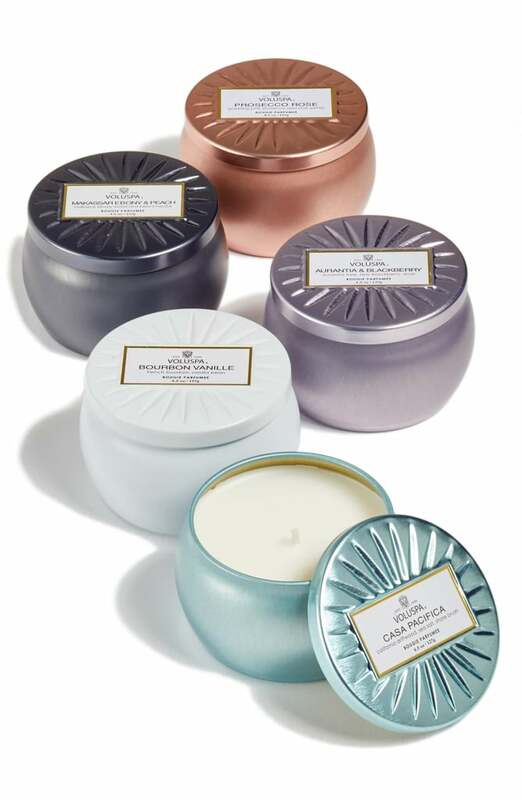 This Voluspa Vermeil Mini Tin Candle Set ($40) includes five candles with scents like Prosecco Rose and Bourbon Vanille. Light it up! This three-piece Every Man Jack Sandalwood Body Gift Set ($15) is a great way to keep smelling nice every season. This Sigma Beauty Sugar Plum Lip Set ($36) comes with a variety of colors for all kinds of looks. 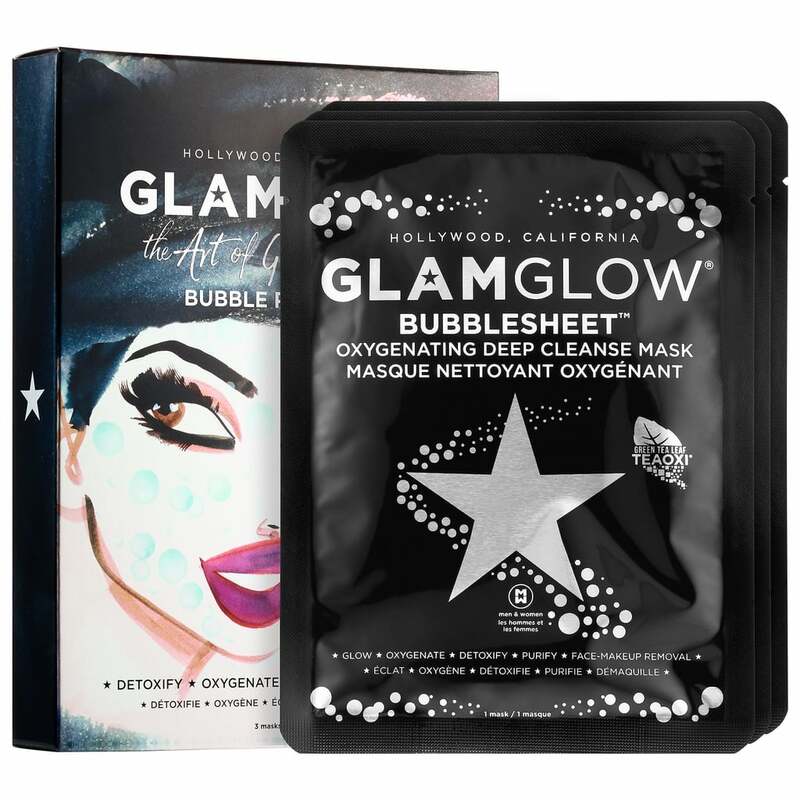 The Art of Glowing Skin Bubble Party Set Sheet Masks ($19) are made with bamboo and charcoal to leave skin feeling fully refreshed. 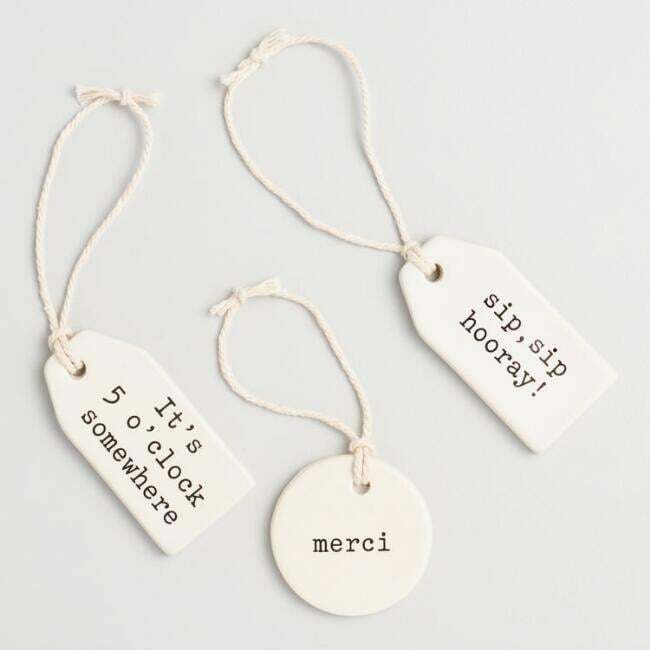 These delicate Ivory Ceramic Wine Tags ($12) look good on any kind of wine. 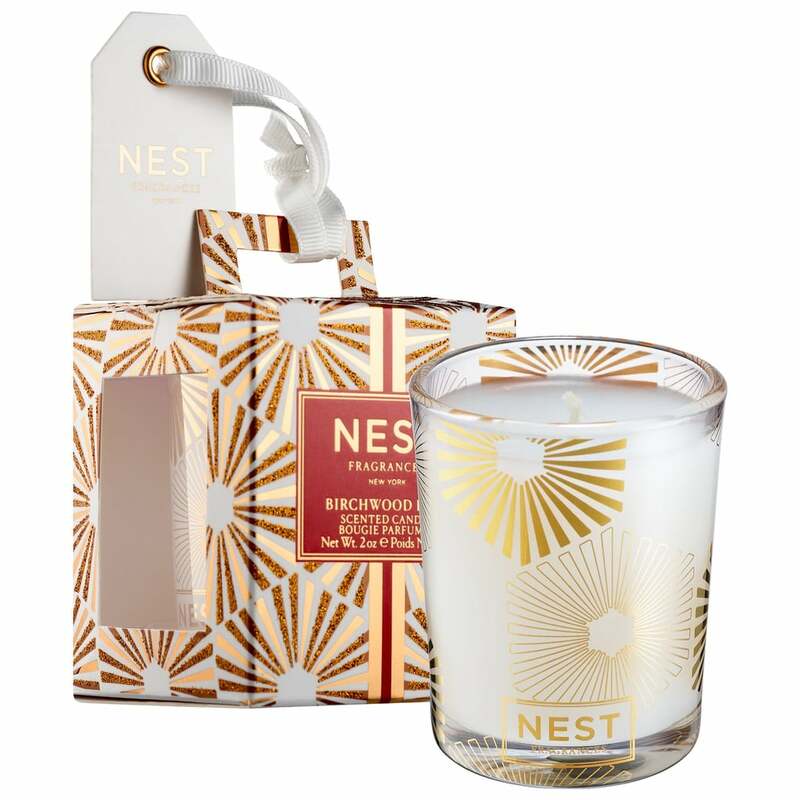 Ring in the holidays with this Birchwood Pine Scented Candle Ornament ($16). 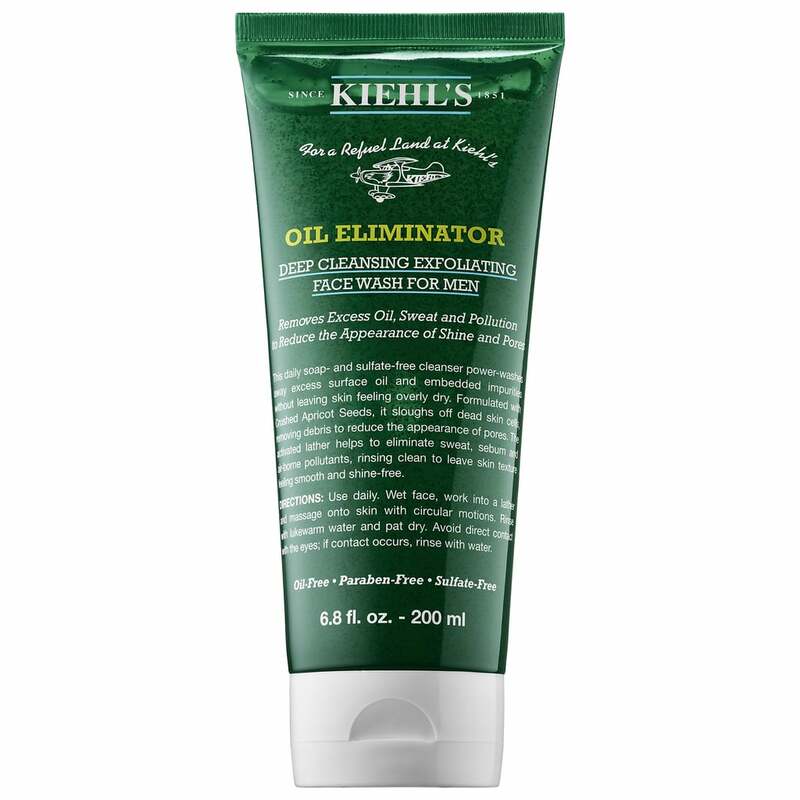 Wash away the day with this Oil Eliminator Deep Cleansing Exfoliating Face Wash For Men ($22). This Dylan Blue Travel Spray ($28) is the perfect blend of masculinity and musk. 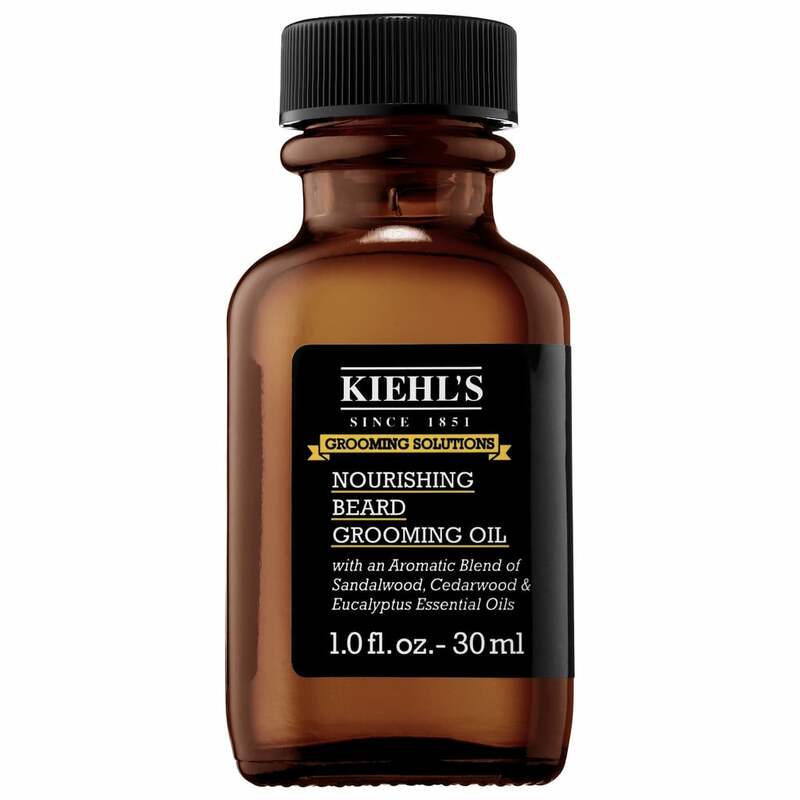 This Grooming Solutions Nourishing Beard Grooming Oil ($27) smooths even the thickest hair. 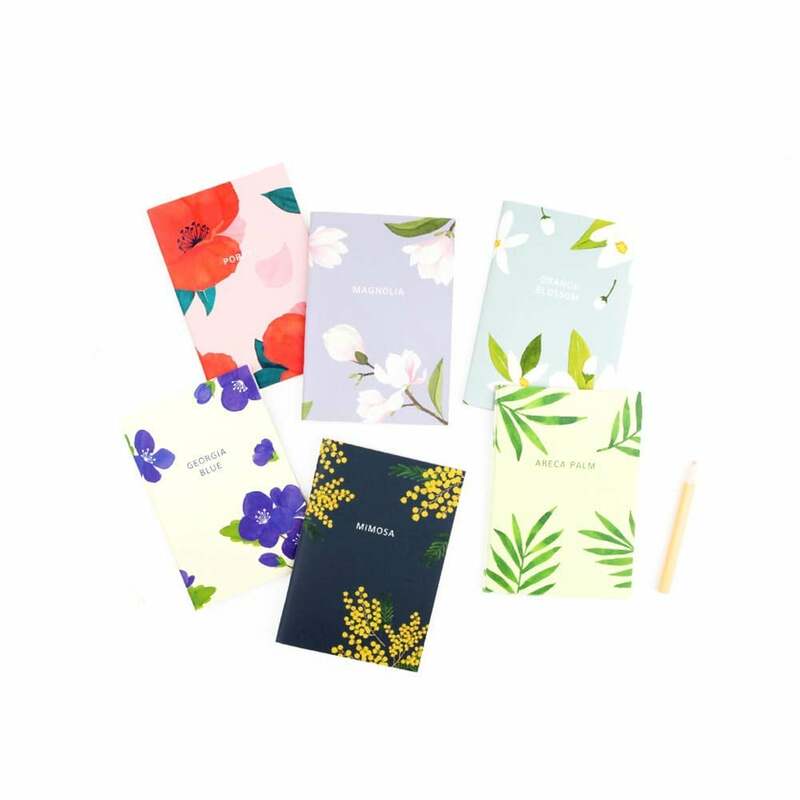 This Gracebell Flower Blossom Mini Notebook Set ($13) comes with six different designs to choose from. 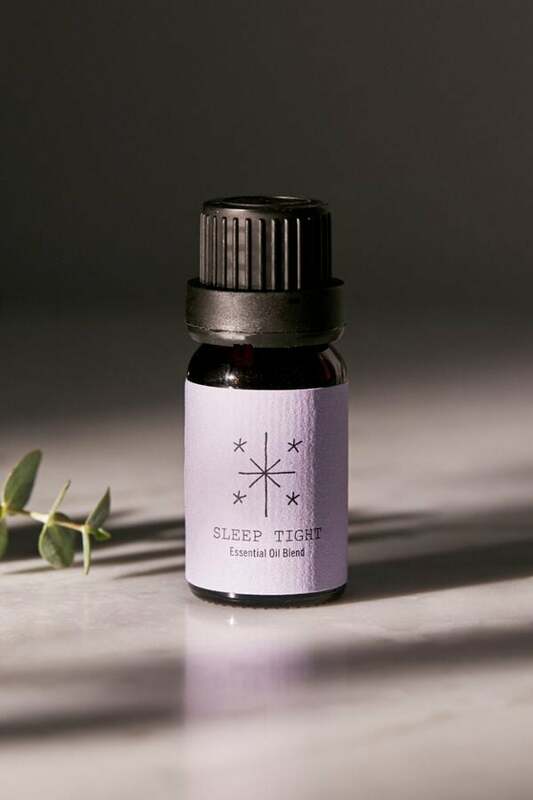 With five different scents to choose from, these UO Essential Oil Blends ($12, or two for $16) are relaxing and refreshing. 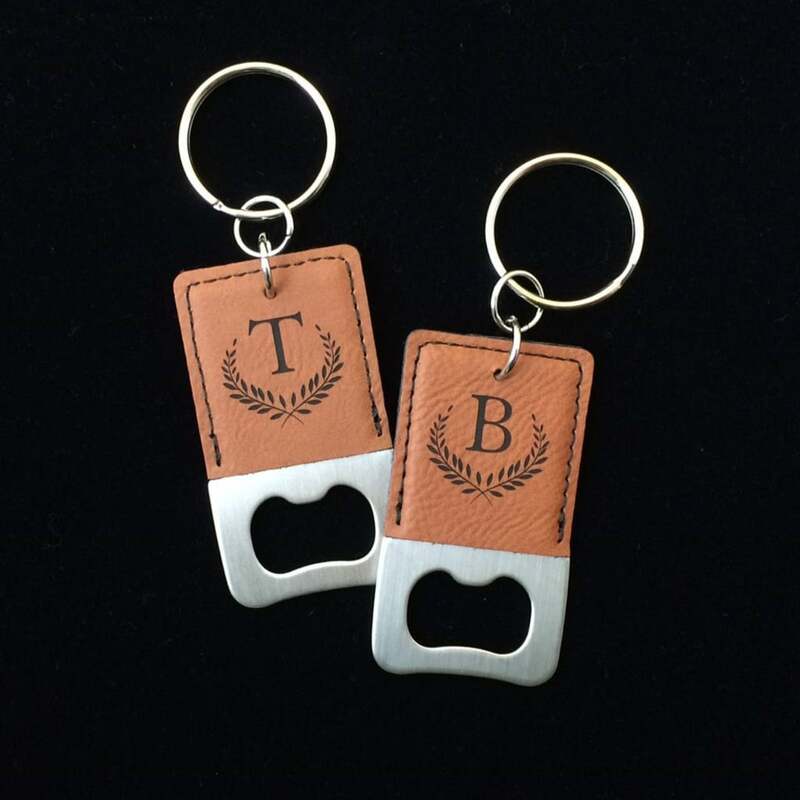 This Engraved Bottle Opener Keychain ($10) is lightweight and can fit on any pair of keys. 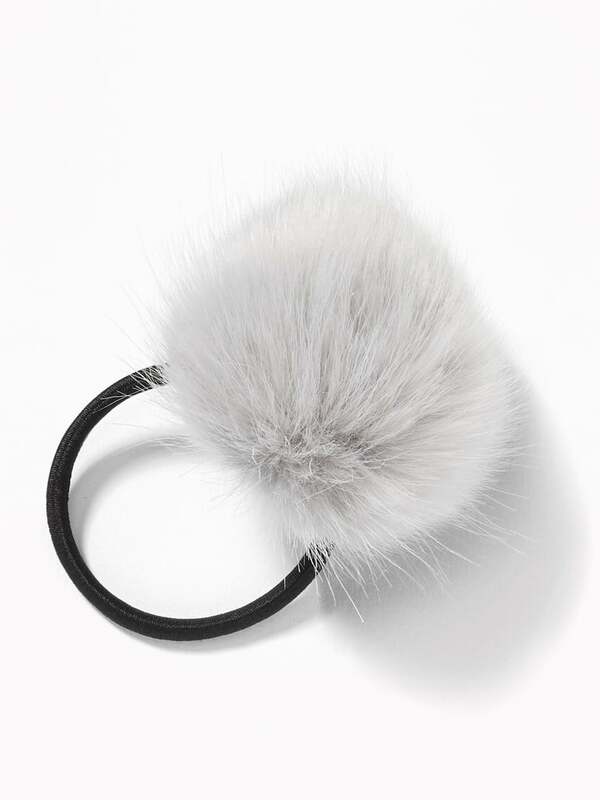 This Faux-Fur Pom-Pom Elastic Hair Tie ($4) adds style to any updo. 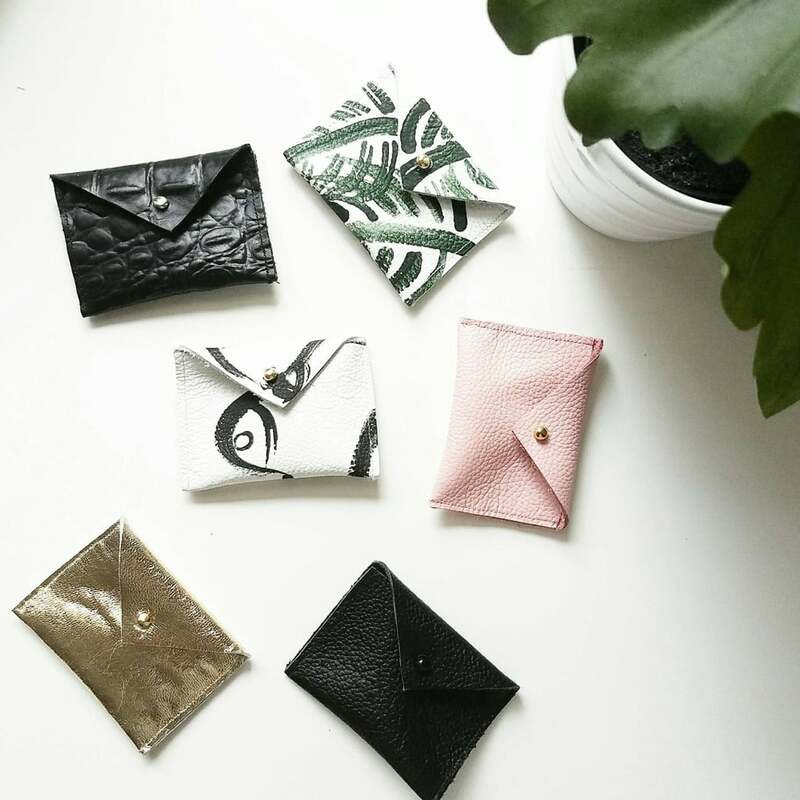 This Leather Mini Envelope Wallet ($14) can be used to hold small accessories like ear buds, bobby pins, and buttons. 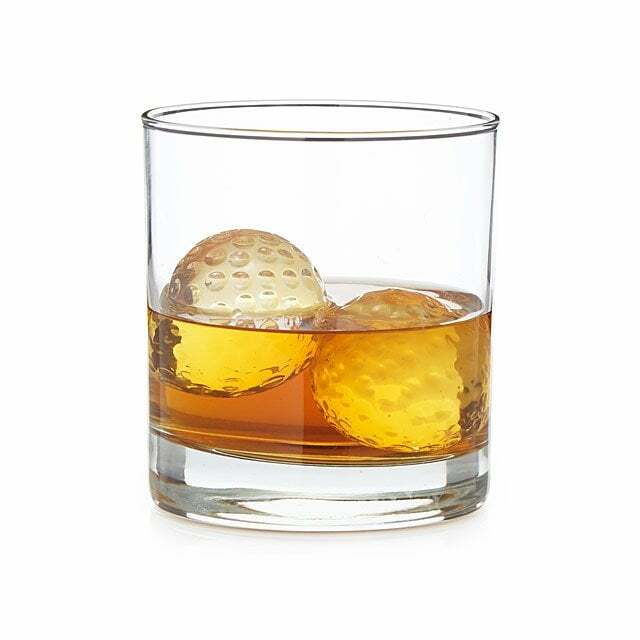 These Golf Ball Whiskey Chillers ($24) will be loved by any golf fan. 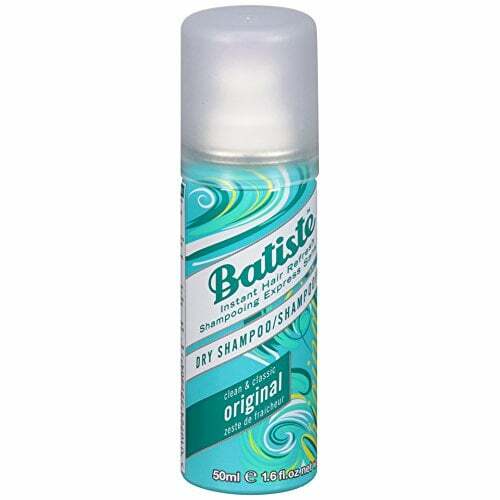 These Batiste Dry Shampoos ($21) come in a mini set of six so you can have dry shampoo in your purse, bathroom, and bedroom. 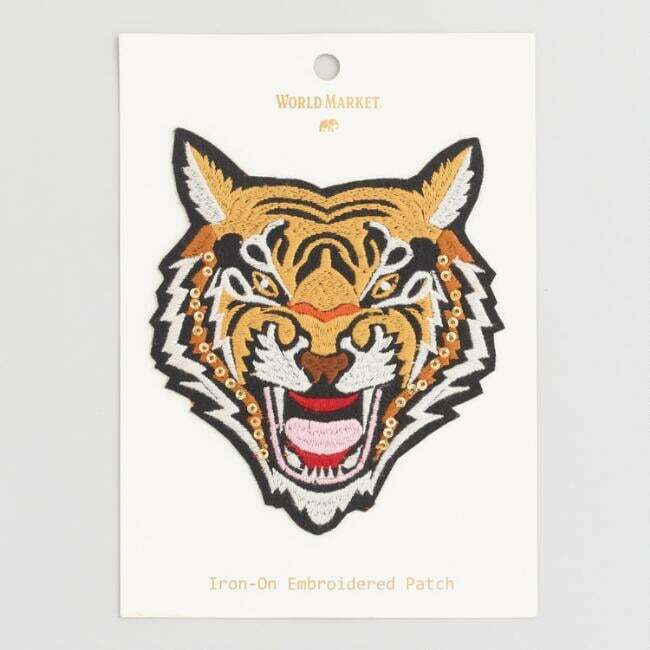 This Tiger Embroidered Iron On Patch ($8) can add a little flair to any piece of clothing. 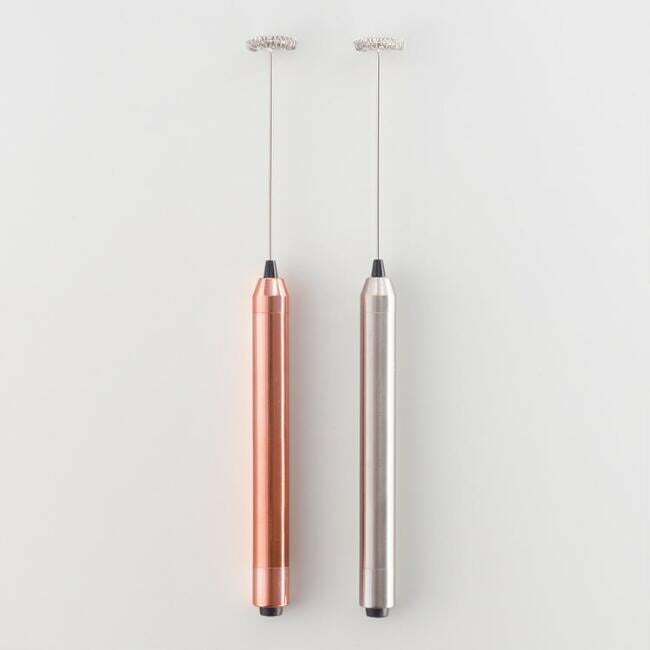 This set of two Handheld Battery Operated Milk Frothers ($18) is cordless and can make any drink whipped in only 30 seconds. This Kitty Silicone Egg Mold ($10) is a fun twist on egg-making. 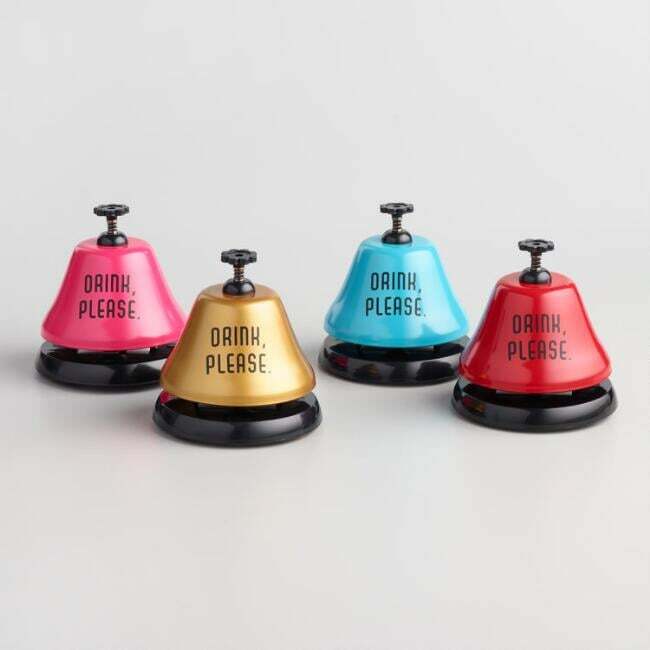 These Drink Please Bar Bells ($14) come in a set of four. Perfect for your drinking buddies! 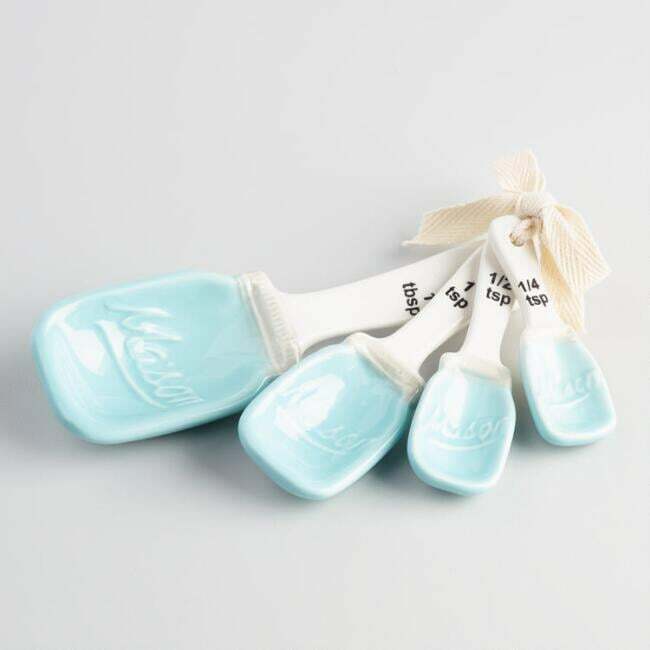 The chef in your life deserves this little set of Mason Jar Ceramic Measuring Spoons ($7). 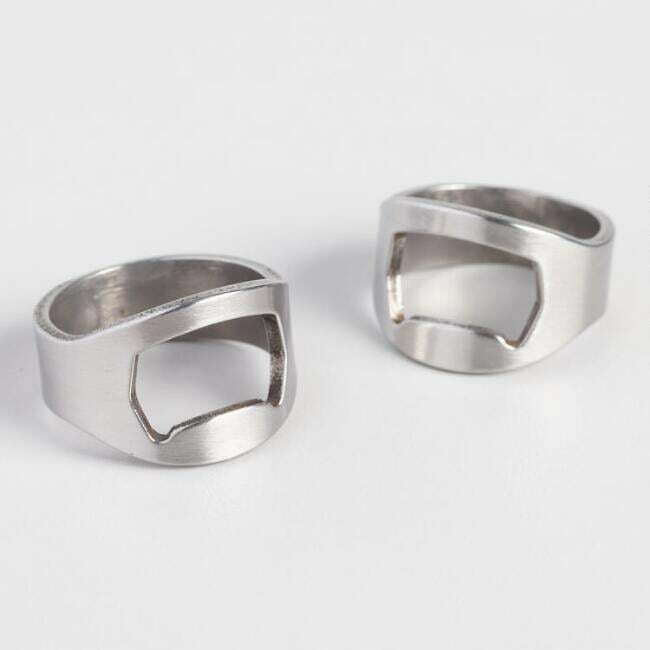 Functional and fun, this Beer Bottle Opener Ring ($5) works like magic! 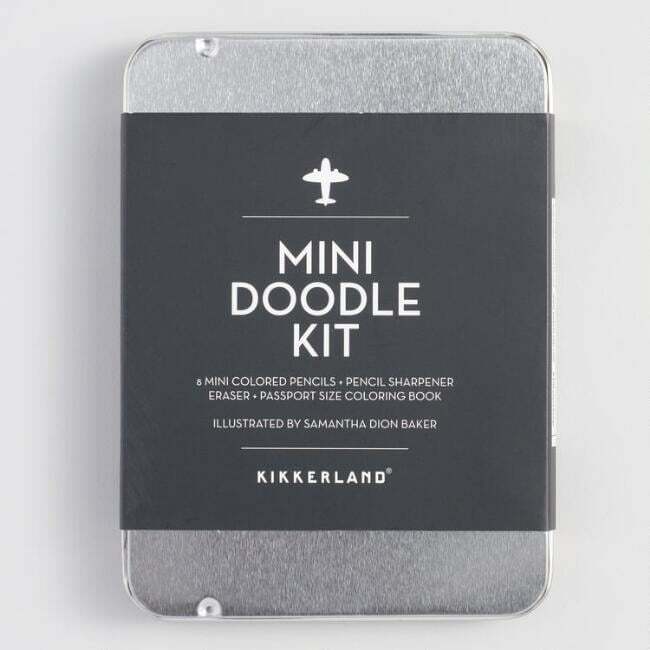 Get creative anywhere with this accessible Mini Doodle Kit ($12). This S.W. Basics Holiday Beauty Bath and Body Gift Set ($15) gives you the ability to make your very own face mask with natural ingredients. 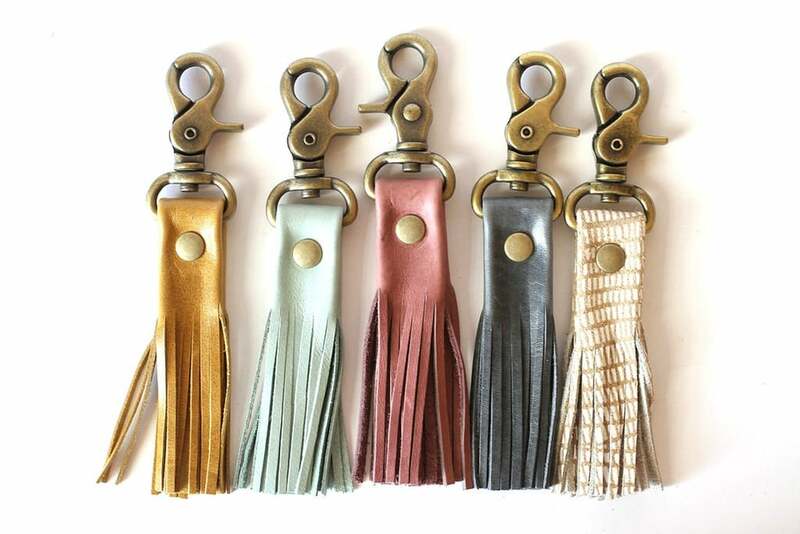 Coming in five cool colors, these Leather Tassel Keychains ($18) keep you from losing your keys. 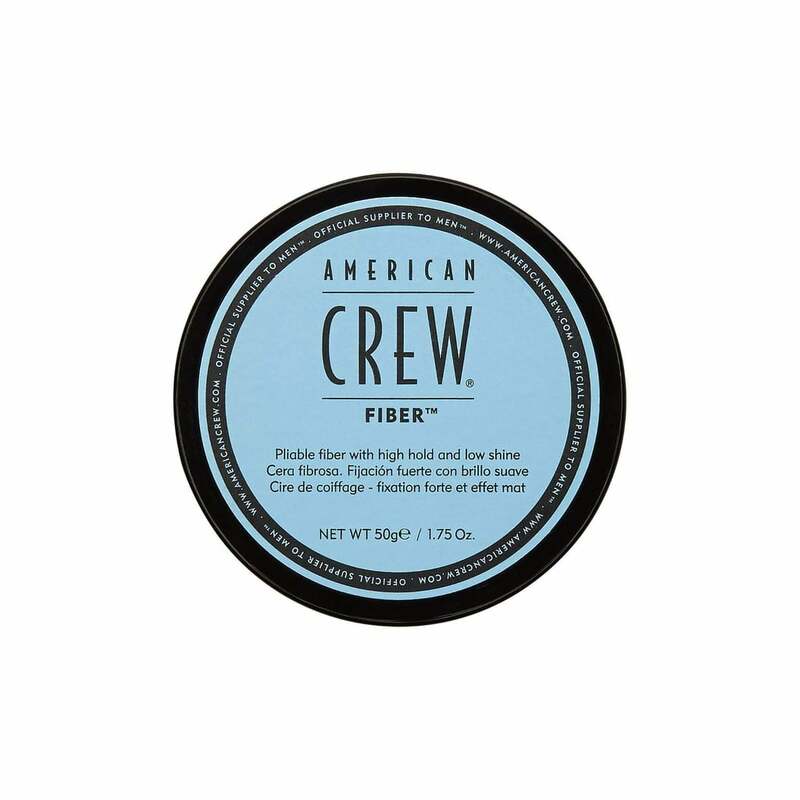 This American Crew Fiber ($9) is small enough to take anywhere. 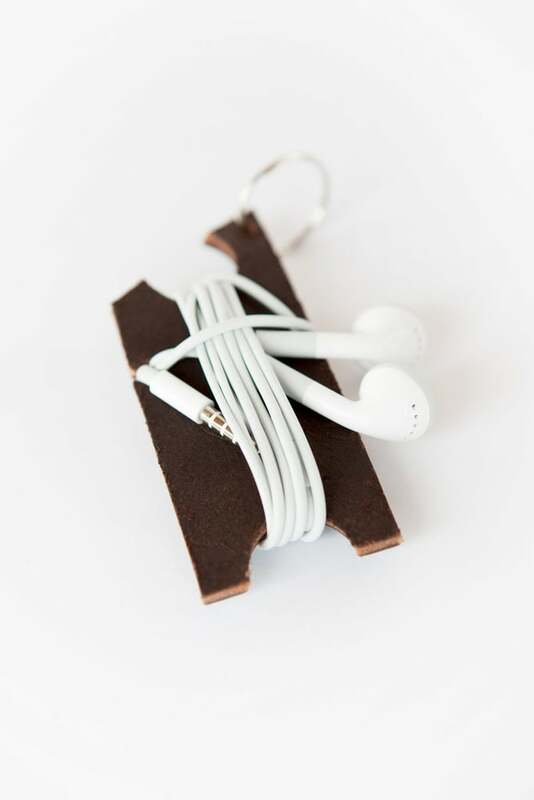 This discreet Leather Earbud Holder ($9) keeps headphone strings in place. 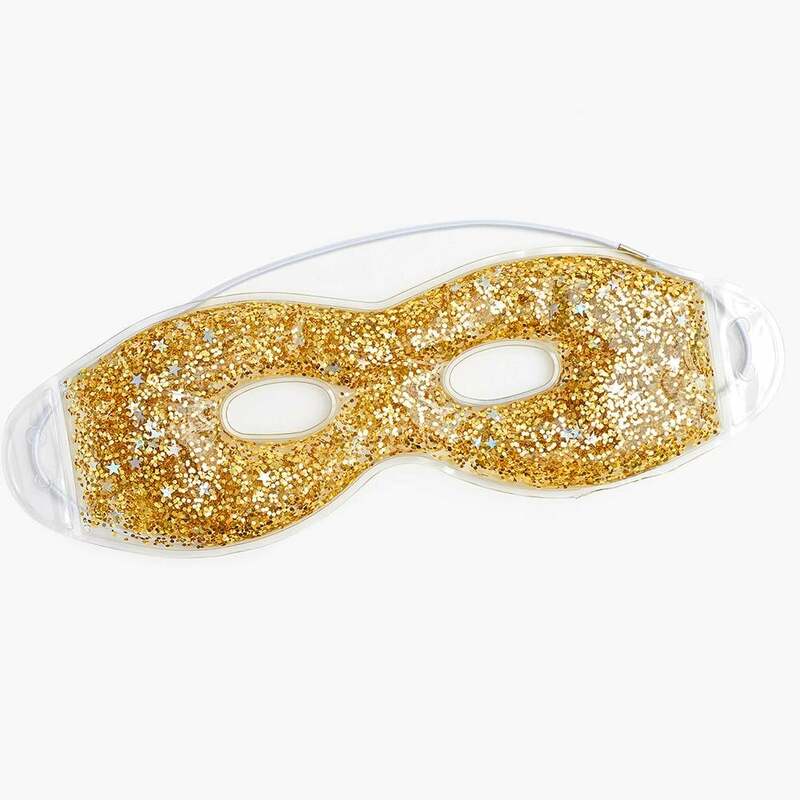 We are obsessed with this Glitter Cooling Eye Mask ($15). 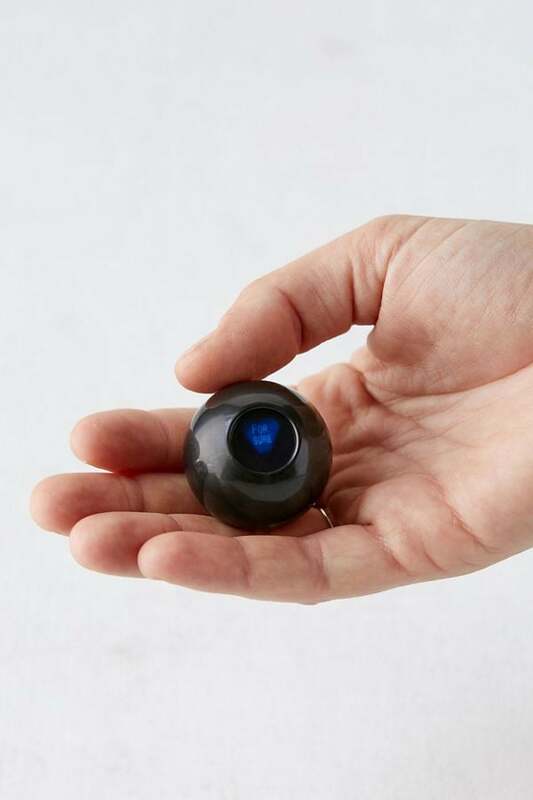 This tiny Magic 8 Ball ($8) holds all the answers to your future.